Famous throughout the mountain running world, Kima is run over seven mountain passes with 8400m of ascent/decent over the 52km course. It is an all out white-knuckle ride and not for the feint hearted. 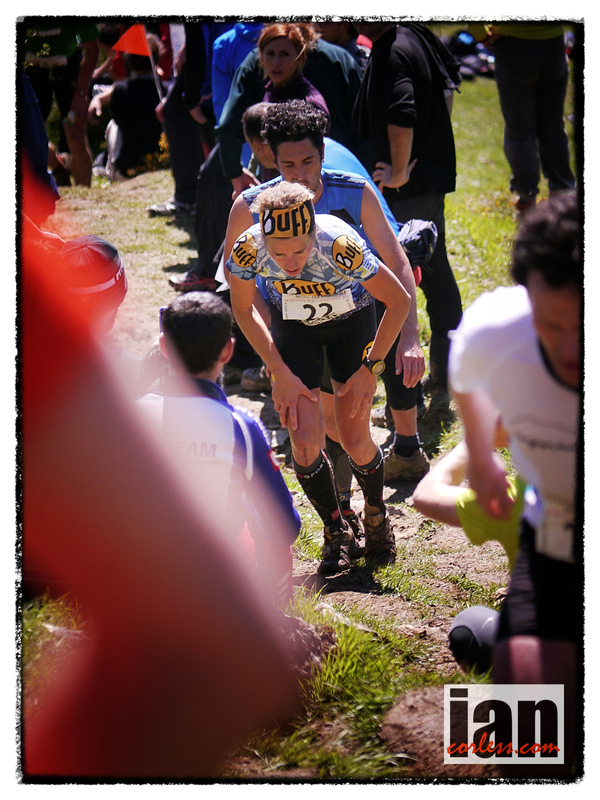 Biennial, the race has a capped field of just 250 and embraces the true spirit of Skyrunning created way back in ‘89’ when Giacometti (ISF President) first ascended and descended Monte Rosa. 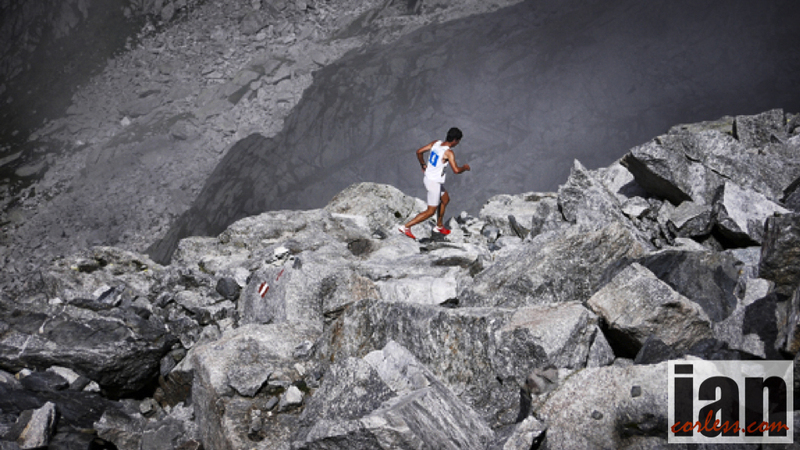 The fourth race in the 2014 Ultra Skyrunner® World Series, KIMA will provide, once again, a showcase for earth meeting sky – Skyrunning! Paolo Gotti placed 8th in 2012 and was the winner in 2008 and 4th in 2010. It’s difficult to predict how Gotti will perform but he knows this course like the back of his hand and that is a huge advantage. 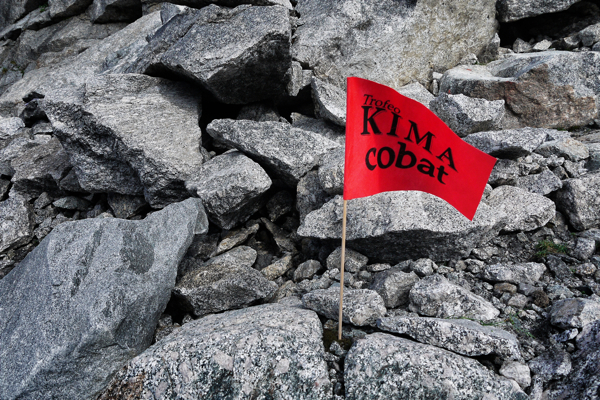 Both Philipp Reiter and Michel Lanne placed 5th and 6th at the last edition of Kima. Philipp has been a little quiet recently with injury and although he is back running, he told me he is not in the best shape for Kima, so, he will have to miss it. Needless to say he is very disappointed. By contrast, Michel was runner up to Kilian at the Skyrunning World Championships and last weekend raced Matterhorn Ultraks and was having a great race until going off course. He dropped, saved his legs and we may well see him looking for pay back in Kima. Nicola Golinelli effectively retired drop top level racing last year. However, he is still a highly competitive athlete and on this course, if in great shape, we can expect a top-5 performance. When you are racing fun with the pressure off a whole new experience can be enjoyed. One to watch! 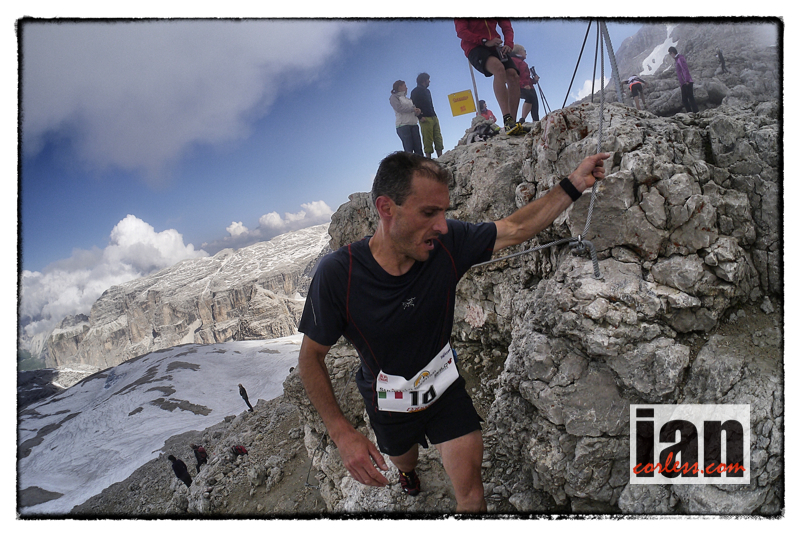 Fulvio Dapit knows how to run in the mountains and has speed, experience and technical ability in abundance. Without doubt a contender for the podium should all things align. 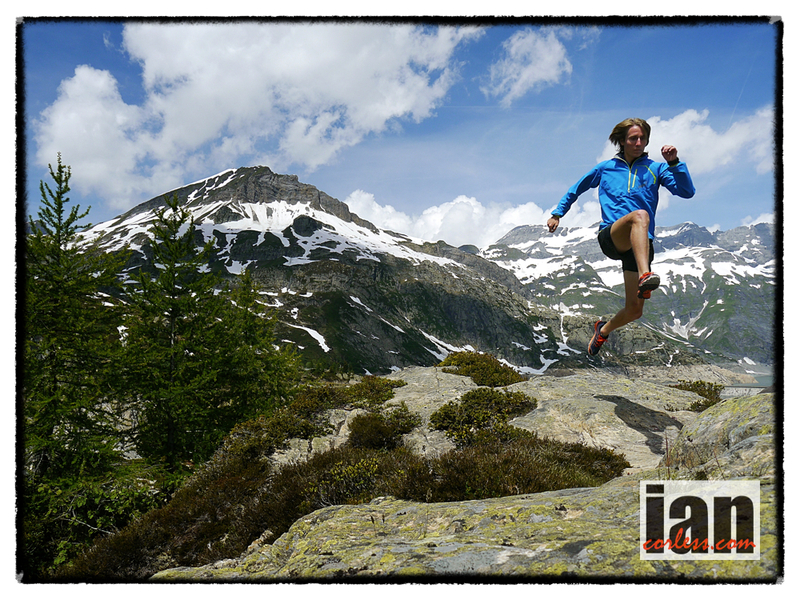 His recent victory at Dolomiti Extreme Trail can only be a good sign of things to come. Manuel Merillos is the new kid on the block and a hot talent. 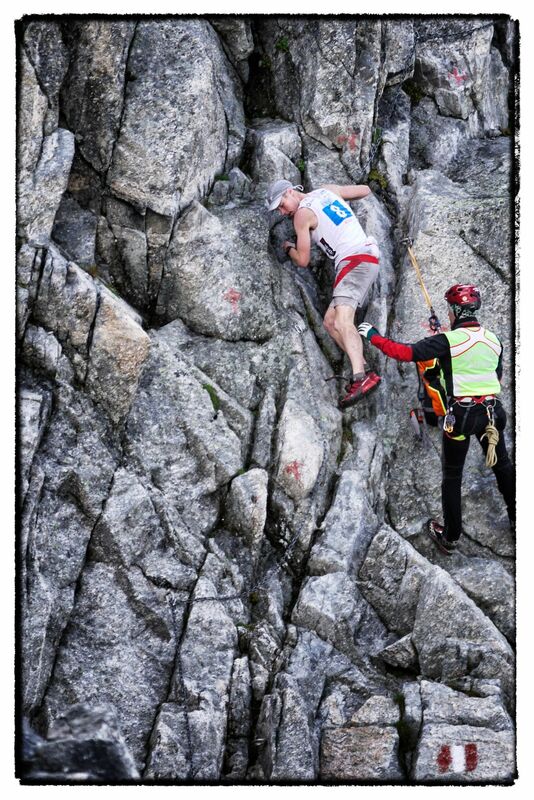 His recent 4th place at Dolomites Skyrace shows that he can trade blows with the best on a pure Skyrunning course. A definite contender for the podium! Es Tressider is an interesting inclusion in to the line-up for this race and a runner that many of the other competitors will not be familiar with. 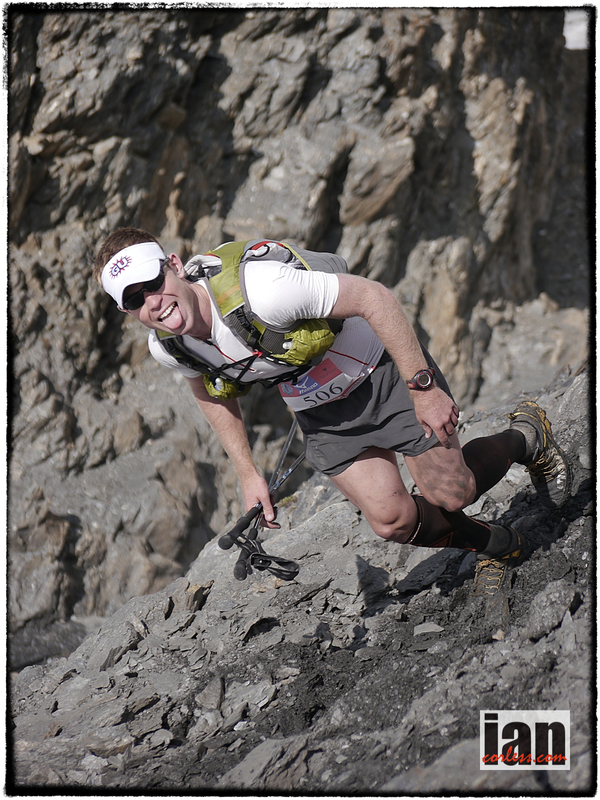 In 2007 he set a record for the Cullin Ridge on the Isle of Skye in 3:17:28. 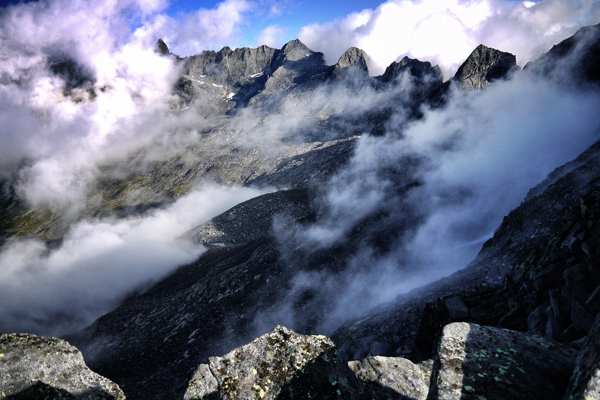 The ridge is Britain’s premier mountain traverse and is usually attempted by 2-people in one or two days. 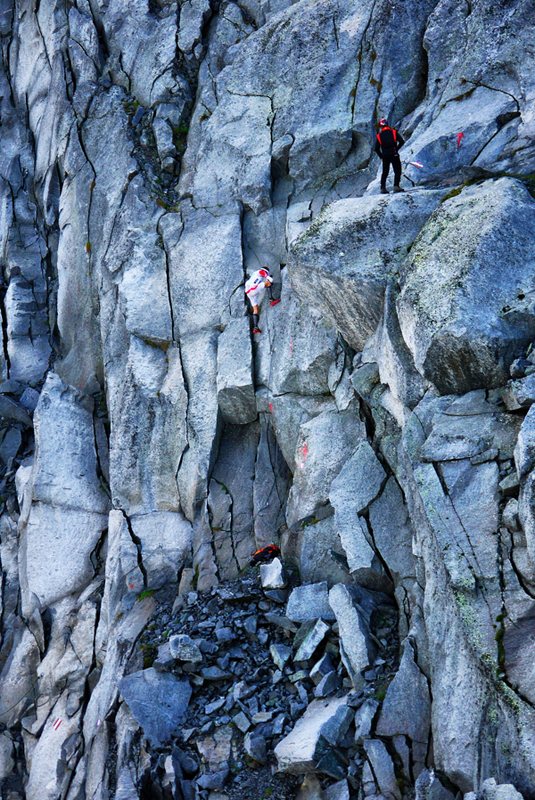 Crossing multiple peaks over 3000ft it’s the perfect training ground for Kima. Jordi Bes Ginesta on his day can trade blows with the best in the world. Hailing from a ski mountaineering background he as all the skill levels required for this tough and challenging course, Top-10 potential? 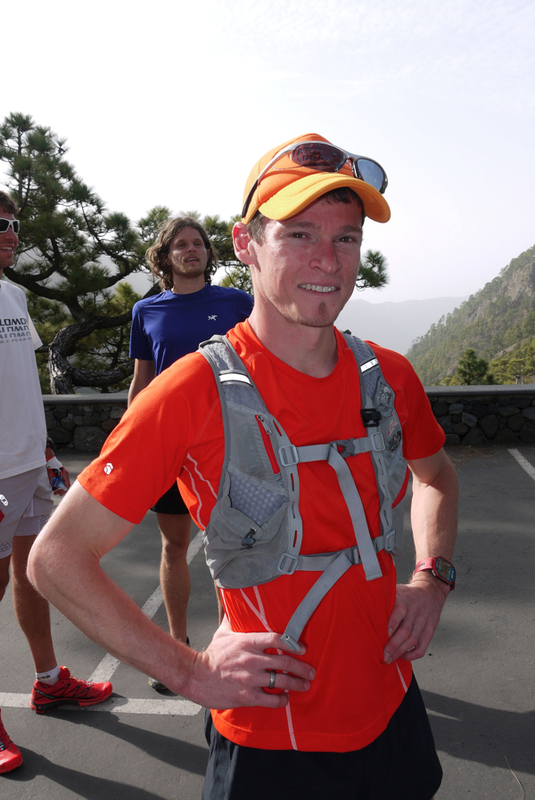 Greg Vollet team manager for Salomon can never be ruled out of the mix in a race like this. He won’t win it but top-10 is always a distinct possibility. 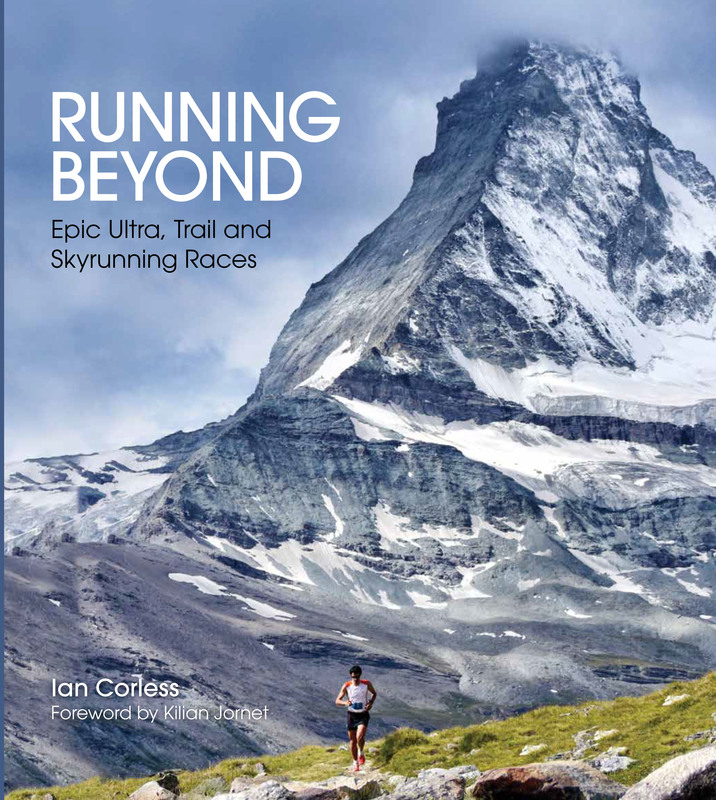 The true global appeal of Skyrunning and Kima is reflected by the inclusion of Matt Cooper and Clarke McClymont. Matt had a great run at Ronda dels Cims in 2013 and Clarke has been dreaming of Kima every since he watched the race 2-years ago. Emelie Forsberg placed 2nd in 2012 and at the time it was her longest ever run. Leading the race to halfway, Emelie finally relinquished to Nuria Picas who went on to set a course record 7:36:21. Two years on and Emelie is a very different runner. Like Kilian, Kima will suit Emelie’s skill set and she is the outright favourite. 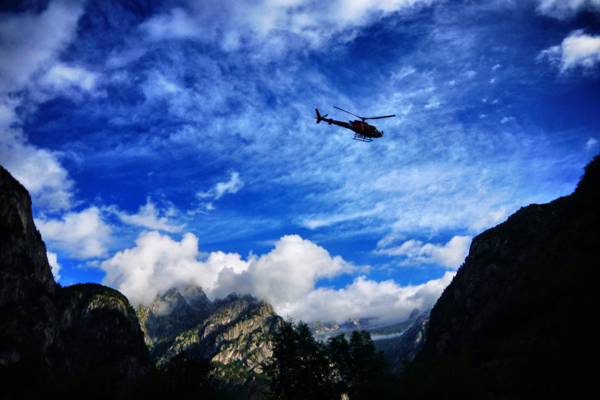 Kasie Enman is currently on a European tour of Skyrunning races and Kima brings a conclusion to the trip. The technical aspects of the course, will not allow Kasie to use her outright speed. However, she is always in the mix and a podium place is a distinct possibility. 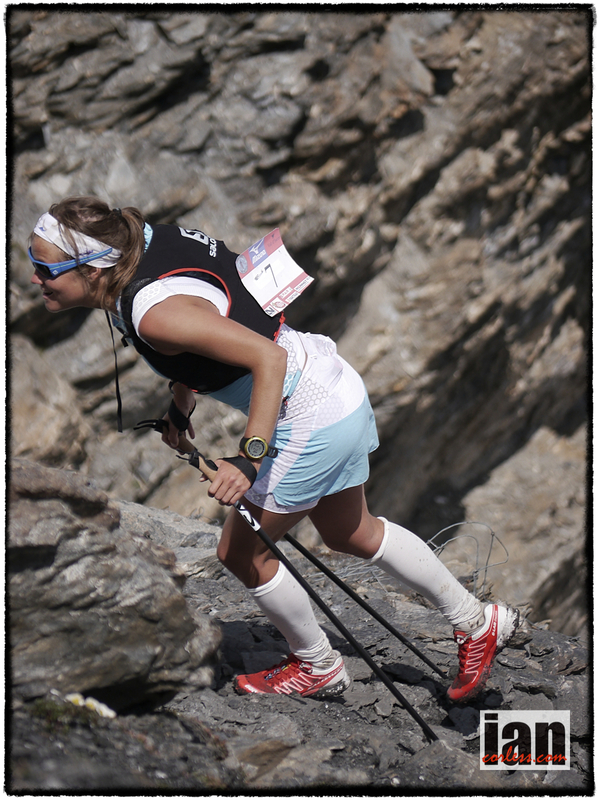 Nuria Dominguez is a regular and consistent performer in the Skyrunner® World Series. 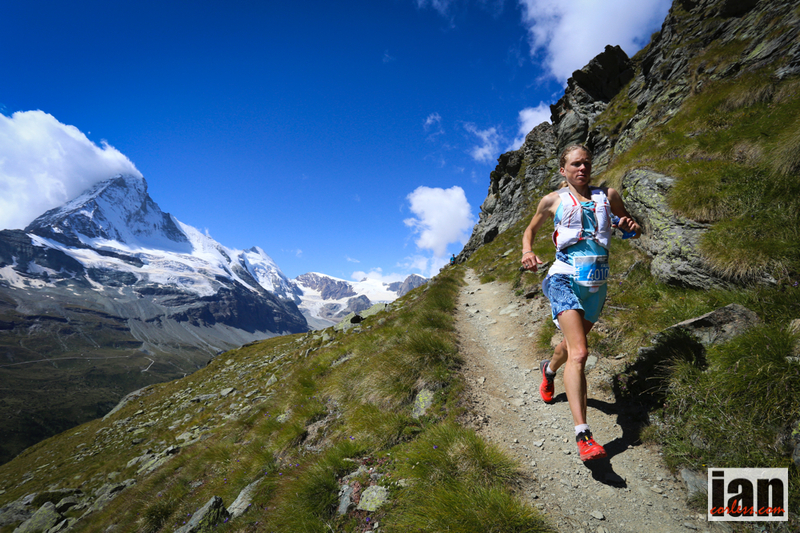 In 2013 she had a string of top results: 3rd Dolomites Skyrace, 4th Trans D’Havet, 3rd at Matterhorn Ultraks and was ranked 4th in The Skyrunning World Championships. 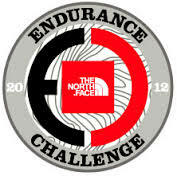 Nuria may well lack the speed of Emelie and Kasie but can more than compensate with experience of the montains. Alessandra Carlini has had a sold 2014 and her recent 2nd at Ice Trail Tarentaise elevates the Italian to ‘one-to-watch’ at Kima. Living on the Italian coast she has very little opportunity to terrain on a mountainous course, however, this hasn’t proven to be too much of a disadvantage so far. Emanuela Brizio past winner and course record holder and placed 3rd behind Picas and Forsberg in 2012. I doubt that Emanuela can win the race this year but 2nd place is up for grapes and if she has a great day, who knows. Forsberg only beat Brizio by 15-seconds last time! 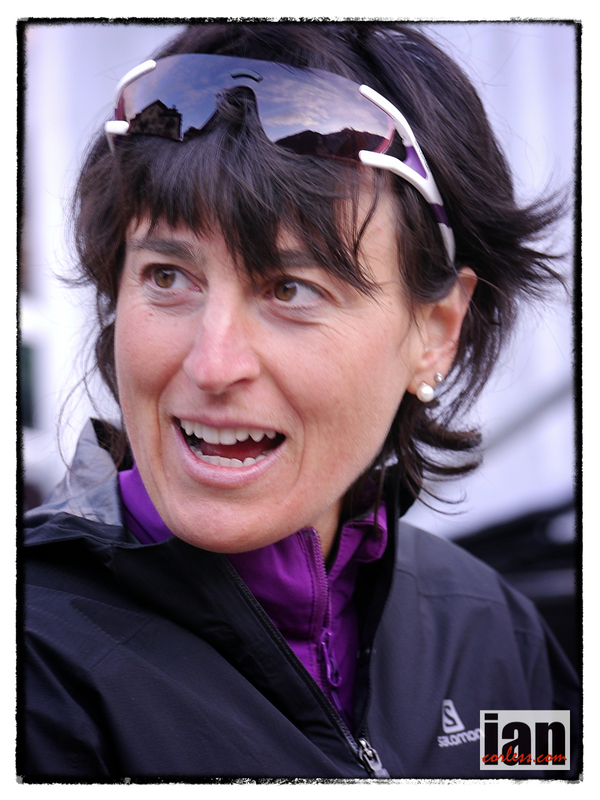 Skyrunning legend Corinne Favre will also toe the line. 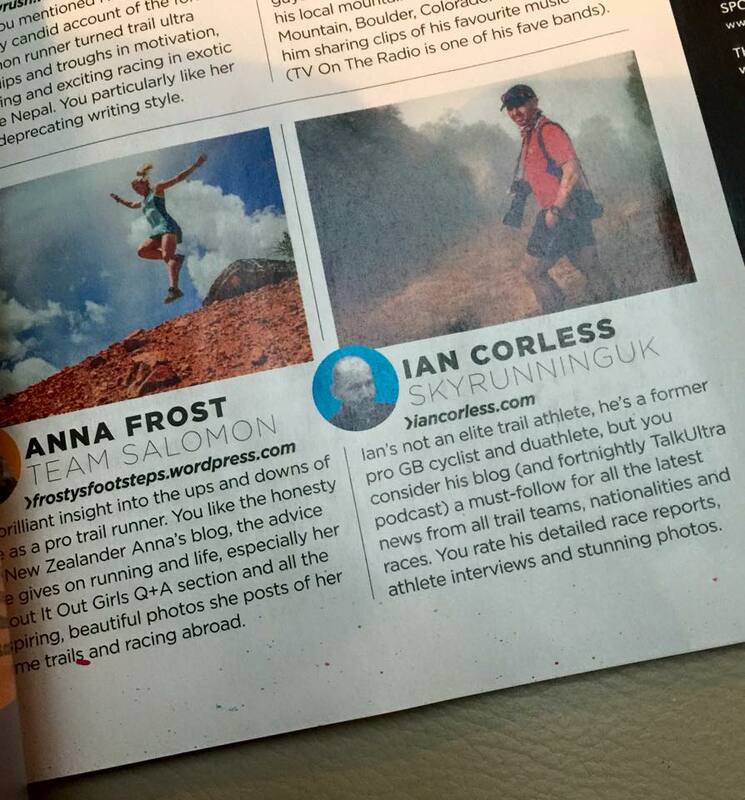 Apparently she won’t be ‘racing’ but we must definitely tip a hat to the first lady of Skyrunning. She was the first world champion in 1998 and although the sport is very different today, Corinne can still hold her own. Don’t rule her out! Needless to say, Kima will have a plethora of Italian talent toeing the line who will without doubt have an impact on the top-10 results for the men and in particular the ladies. The heat subsides on the island of La Palma, the waves continue to splash on the shoreline and a new week begins. 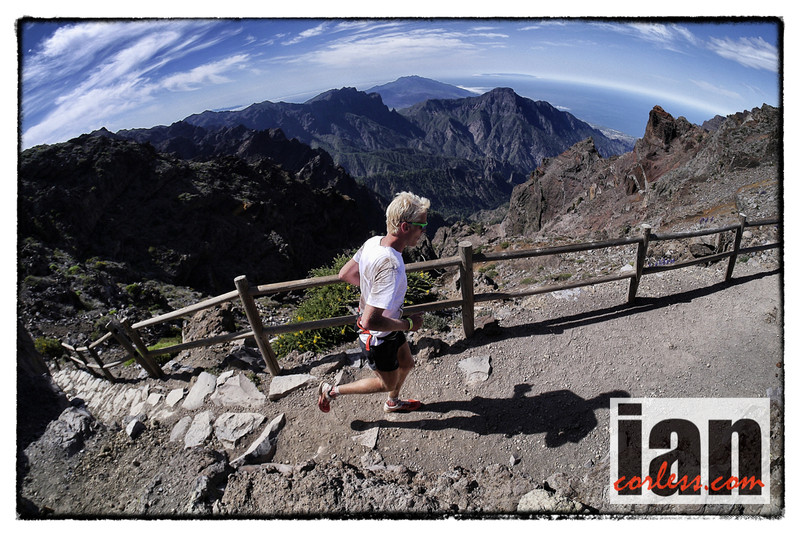 It’s only 10-days since the incredibly successful, dramatic and exciting Skyrunning Transvulcania La Palma. But wait a minute, days away, the iconic mountain race, Zegama-Aizkorri kicks off. Ask anyone about ‘Zegama’ and they say, it’s ZEGAMA! 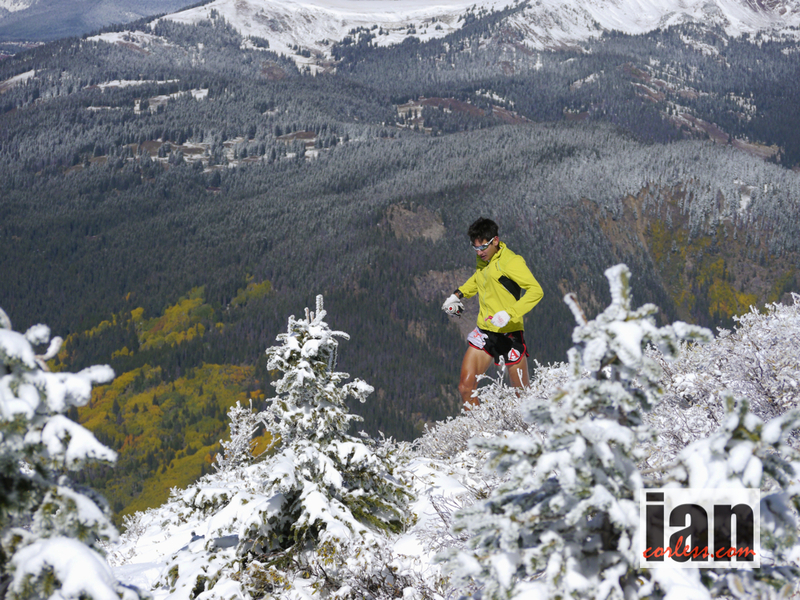 Nothing more needs to be said… it’s a race that excites mountain runners like few other races do. 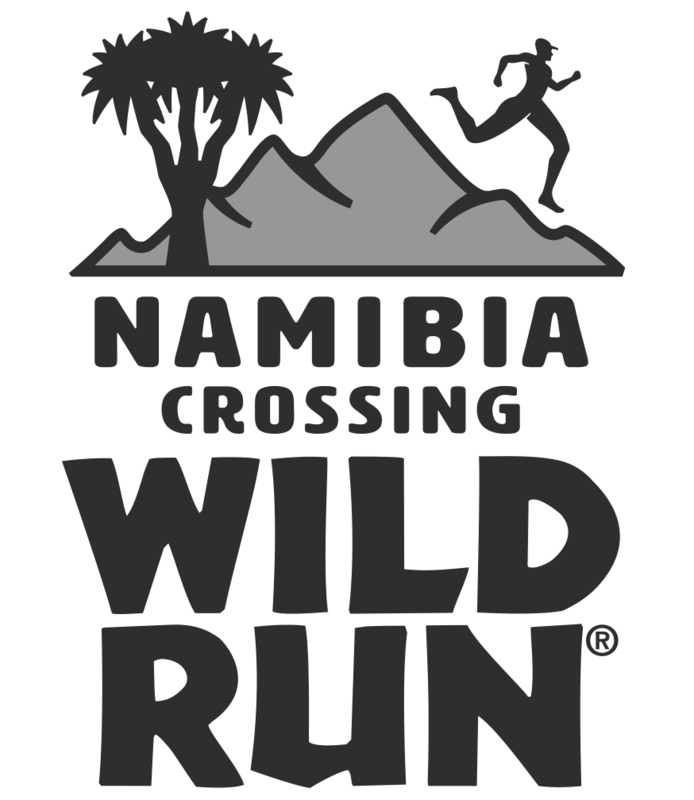 It’s a brutally fast and technical race that is not for the feint hearted. 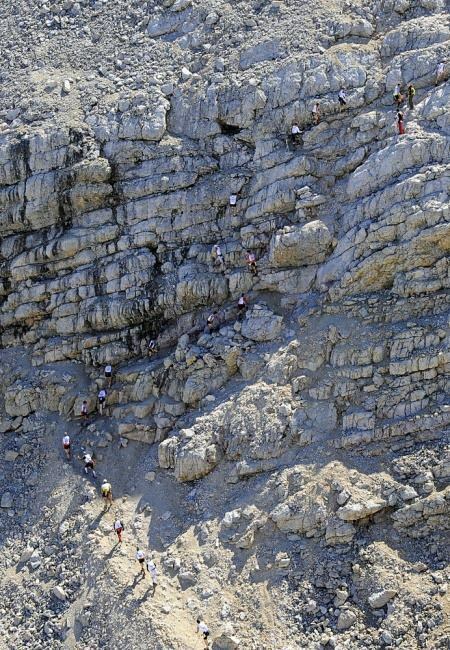 Located in a natural park, Aizkorri-Aratz, it brings respect and excitement to every mountain runner that toes the line. Kilian Jornet, Luis Alberto Hernando, Marco De Gasperi, Tom Owens and Pablo Villa illuminate a top-quality men’s field. Emelie Forsberg, Maite Maiora, Stevie Kremer, Kasie Enman, Elisa Desco and Nuria Picas add no element of softness to the race line up, these ladies are as tough as nails and may well take down a few of the top ranked men. 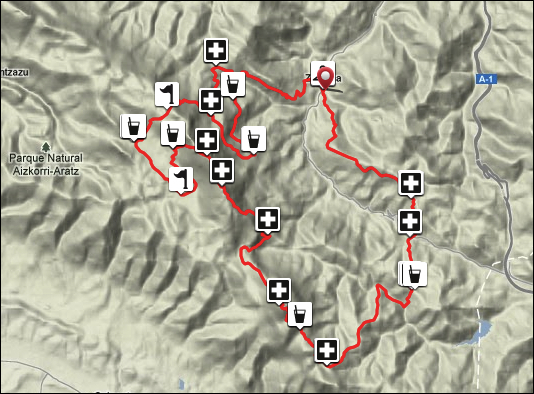 So, what is going to happen on the trails and mountains of the Aizkorri-Aratz? A medium mountain route over the Aratz massif and the Sierra of Aizkorri, which includes the four highest peaks in the Basque Autonomous Region (Aratz – Aizkorri –Akategi and Aitxuri). Starting in the town of Zegama (296m) the race climbs up to the high point of Otzaurte (652m) and then follows a mountain pass and a route along paths and mountain tracks of great natural beauty. It combines forests with steep rocky slopes and high grazing land. It is very technical and with a high level of difficulty. 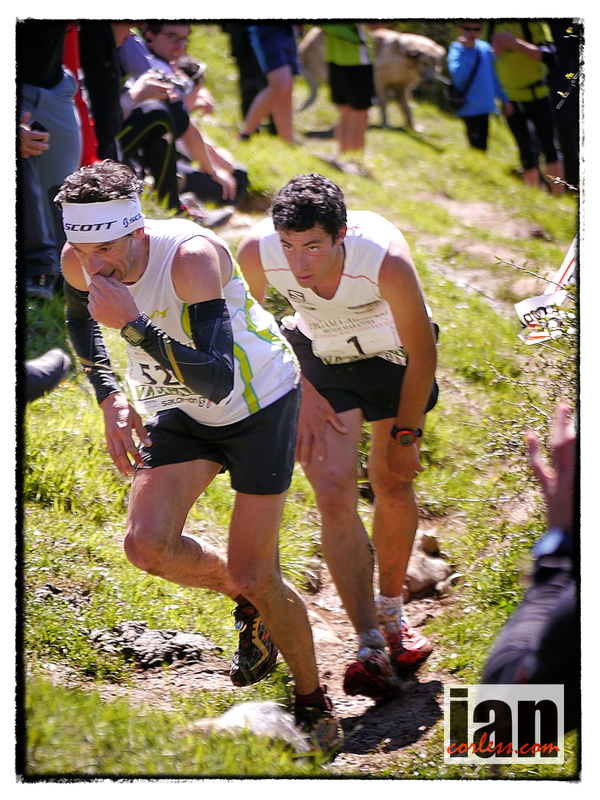 Start and finish: Zegama ( guipúzcoa ) –09:00 start. Climate: medium mountain, possibilities of intense heat, strong winds, fog or rain. 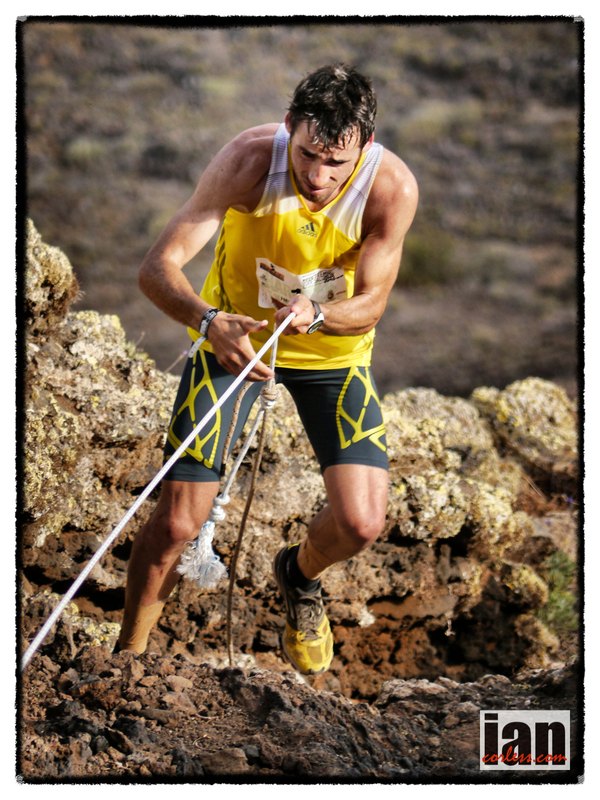 The men’s race is full of talent and like Transvulcania, a winner could come from any direction; are we due a surprise? However, based on the La Palma showdown, one has to conclude that Luis Alberto Hernando and Kilian Jornet are HOT favourites for the win. Luis Alberto Hernando fulfilled a dream at La Palma and coming to Zegama he will either be immensely satisfied and looking for a victory loop or he will be fired up and ready for more… I’m going with the latter! 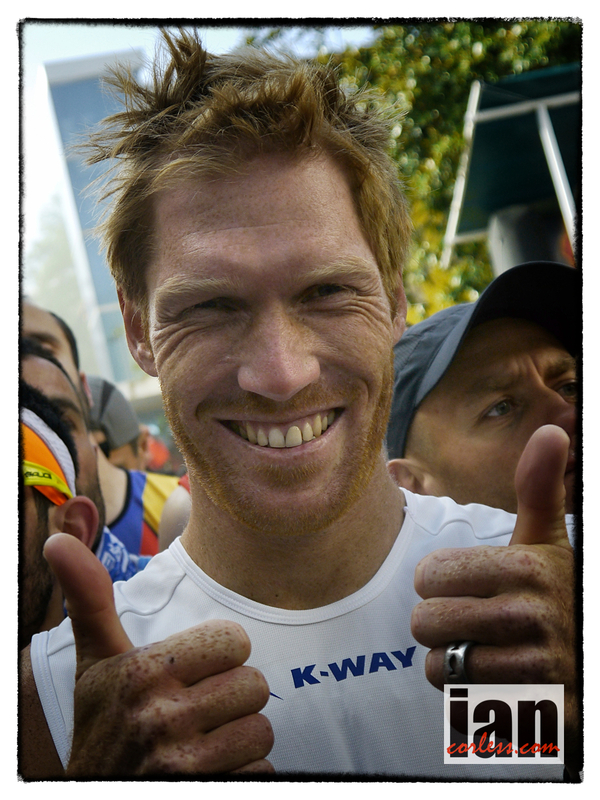 He’s a fierce competitor and his powers of recovery post Transvulcania will be good. Zegama suits Luis and he only ‘just’ missed out on the win in 2013 by seconds, pushing Kilian Jornet all the way to the line. 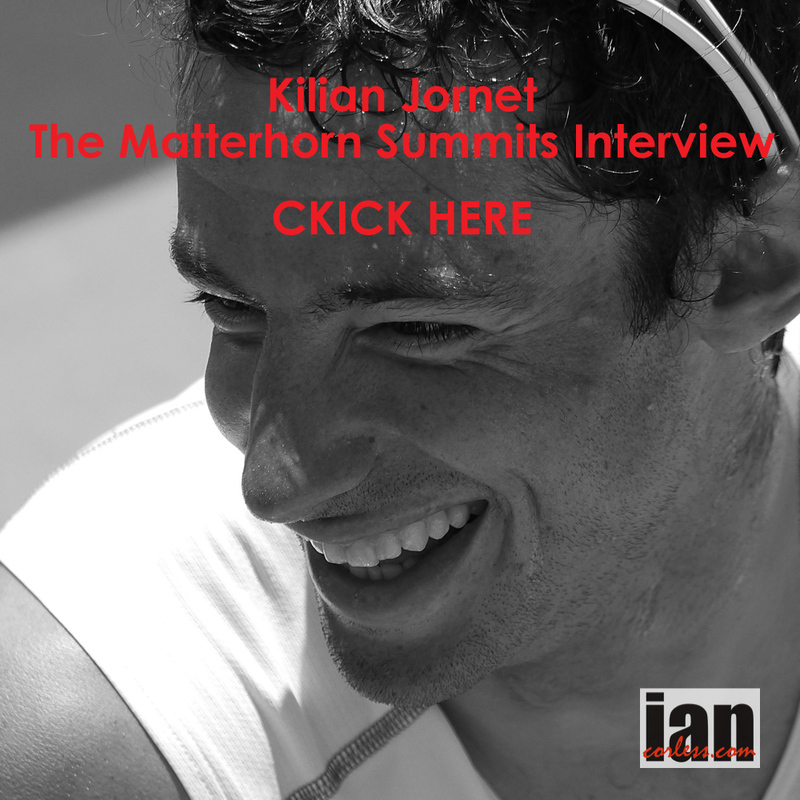 Kilian Jornet now has one race under his belt and all the competition will now know that his training is done… I joke, but Kilian usually only needs one race to loosen up and he is back in his stride. 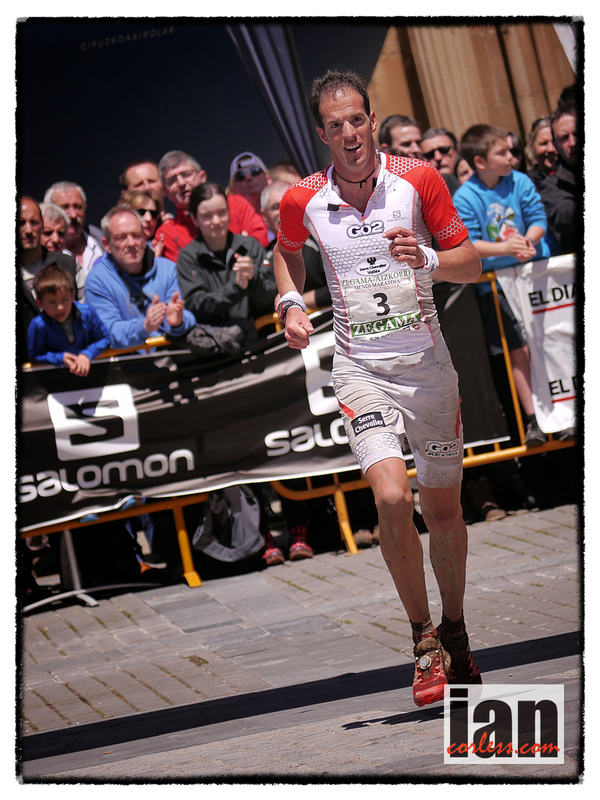 If we look at 2012, Kilian placed 3rd at Transvulcania and then just 1-week later dominated Zegama in atrocious conditions. For sure, Kilian doesn’t like heat and he will be hoping for cooler conditions come the weekend of the 24th. If he could choose, he would like rain, some snow and wind. 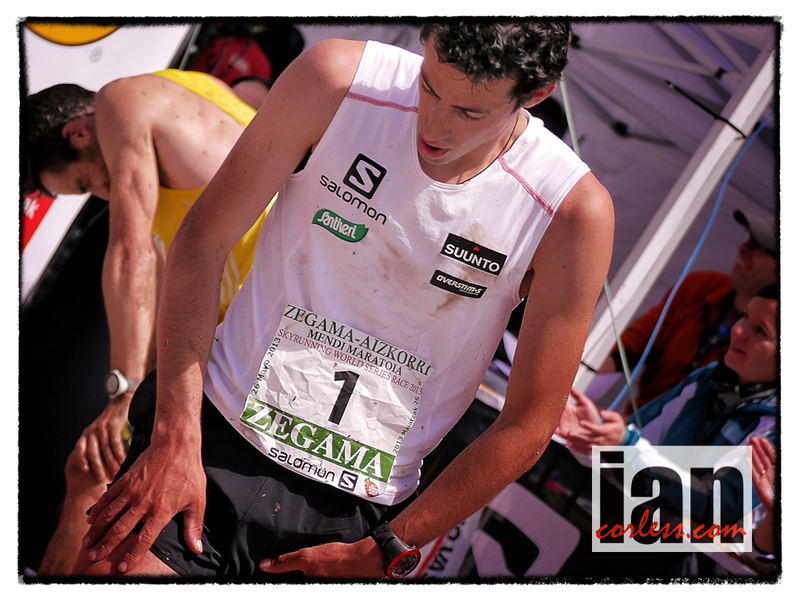 If we get those conditions, Kilian will almost certainly be hot favourite. 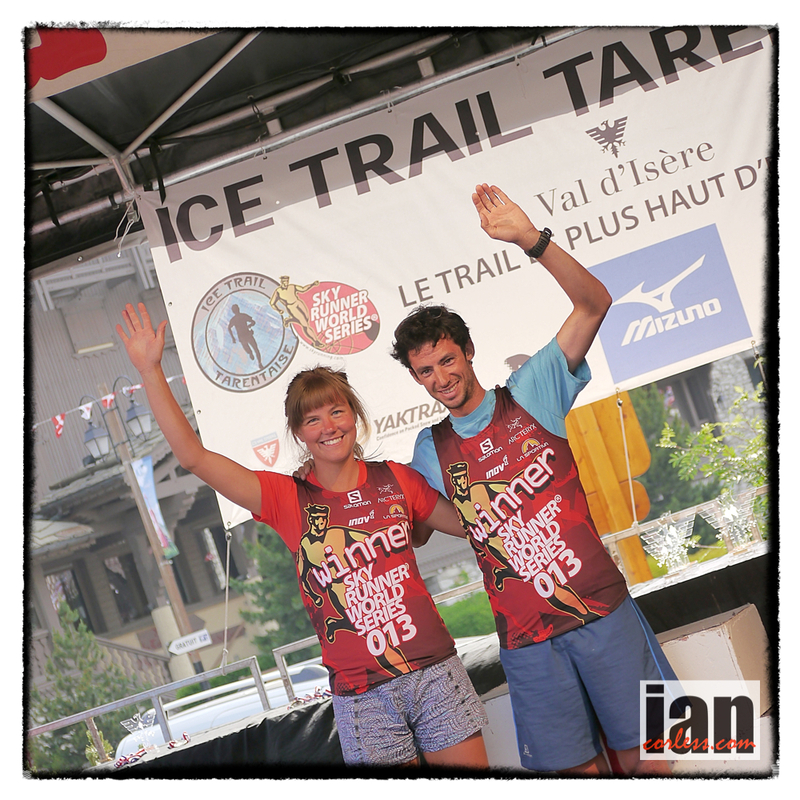 Should we get sun, heat and calm conditions, I think Kilian is still the hot favourite BUT it will be close, very close. 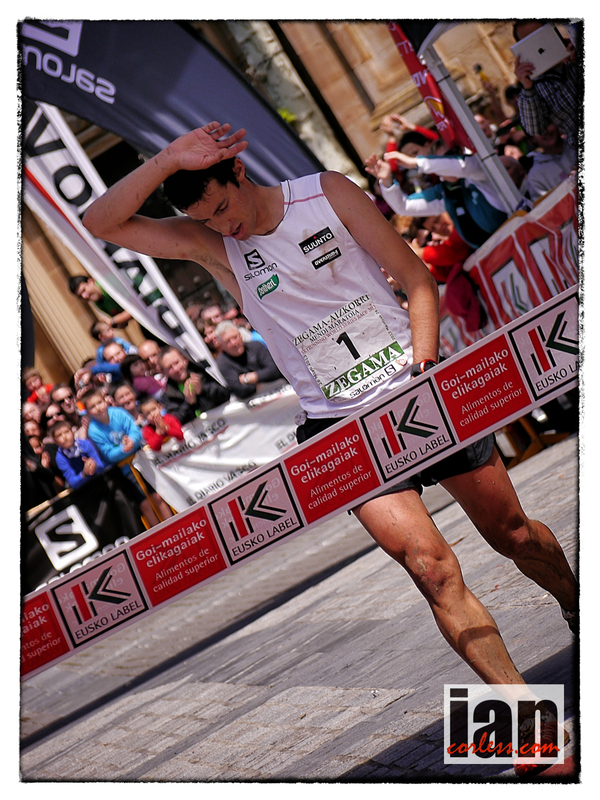 So close that Marco De Gasperi will almost certainly make Kilian and Luis potentially repeat the Zegama finish of 2013 or we may have a ‘replay’ of the Kilian and Marco sprint from the Dolomites Skyrace in 2013. One thing is for sure, the legend that is Marco De Gasperi will be pushing the Spaniard and the Catalan over every meter of this course and if he is not pushing them, he will be leading them. Marco keeps telling me that he is getting old but class is permanent and that class will shine in Zegama. 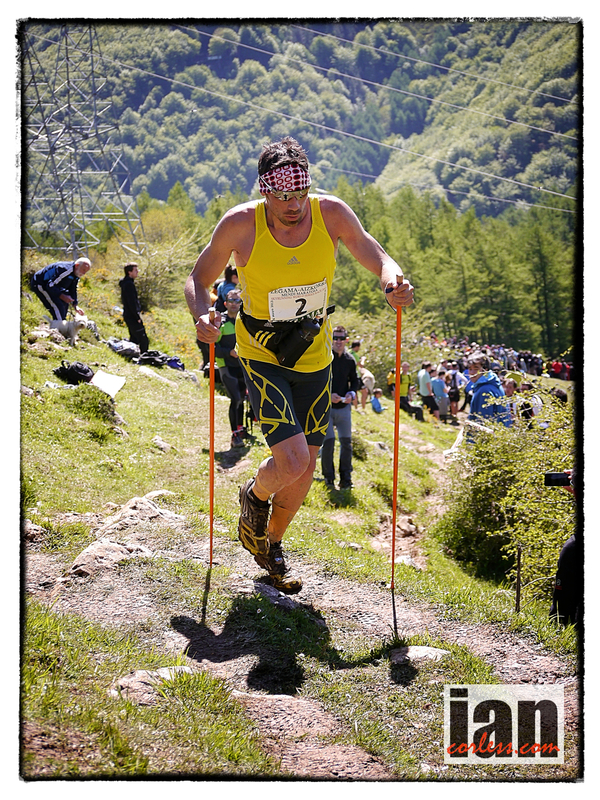 Tom Owens had a superb Zegama in 2011 and 2012 and then disappeared in 2013 with injuries. However, Tom is back! A recent 2nd behind Ricky Lightfoot at the Three Peaks in the UK and a stunning 6th at Transvulcania, his first ultra, without doubt elevates Tom to hot and he will be looking for a podium place. For Tom to place 6th in an ultra and then drop down to his preferred distance, SKY, can only mean that he has an even greater chance of rocking the cart. 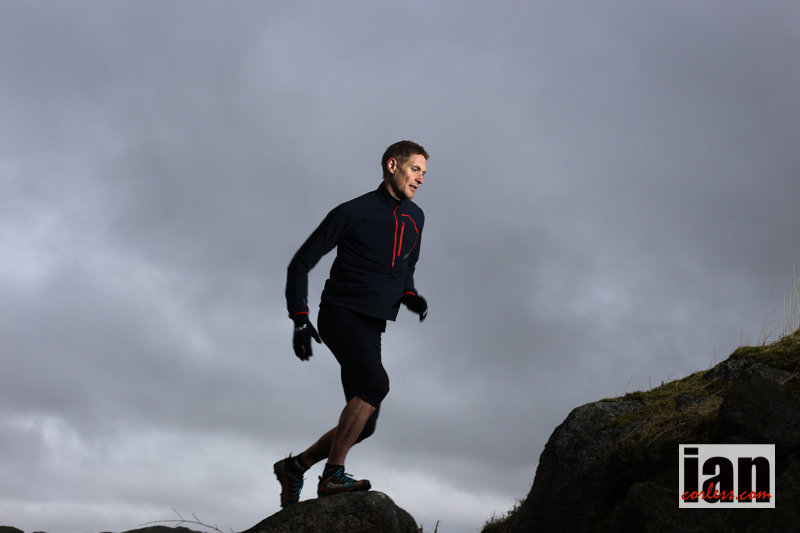 His strong fell running background is a perfect fit for this race. Podium potential for sure. Tadei Pivk produced a stunning run in 2013 taking the final podium place ahead of Zaid Ait Malek. Both of these runners will make an impact one again. In particular, Zaid has progressed in the last 12-months with a series of quality results and performances. He’s a small guy with a huge character and personality. They will both be up at the front. Michel Lanne will be leaving his helicopter at home and once again lacing up his ‘Sense’ to test himself against the best in the world. He will be in the mix, he always is, however, he just needs that touch of extra luck to help him move up to the very front end of a pure mountain race like this. Michel had a string of top-3 performances in 2013, a notable 2nd to Francois d’Haene at Mont-Blanc 80km a highlight. Just recently he placed 2nd at Trail du Ventoux, so, the form is good. Pablo Villa is going to be on a high after top-10 at Transvulcania and like Tom Owens will be looking to carry the momentum on here. It’s going to be a tough call and although I don’t see him contesting the podium, the Scott runner will be in the mix if recovered. 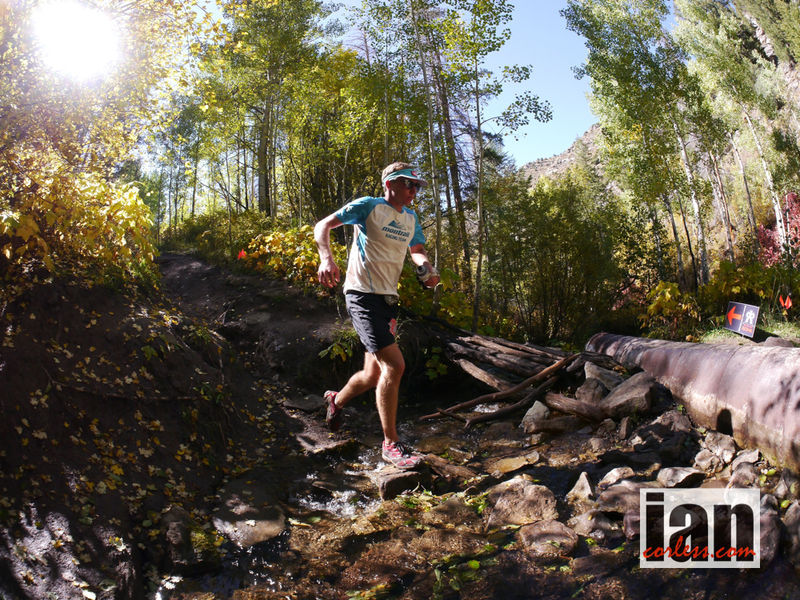 Inov-8, Skyrunning partner are sending a very strong field that can be broken down into several levels. I see the strong performances coming from Eirik Haugsnes, Aritz Egea and Alex Nichols. Anyone of these guys could make the top-10. Oli Johnson placed top-10 at Mont-Blanc Marathon in 2013 and will represent the UK at the up and coming Skyrunning World Champs, he has the run ability and skill set to excel at Zegama, however, I am not sure he is 100% at the moment, so, I think he will have a presence at the front end, his performance will very much depend on his progression in the last 2 to 3 weeks. Pierre Laurent Viguier recently won Trail du Citadelles but like Robbie Britton, this race may well be too short, too technical and too fast for them to excel. I see Zegama, as being a learning curve and Chris Steele will no doubt embrace the opportunity and give it all he has. 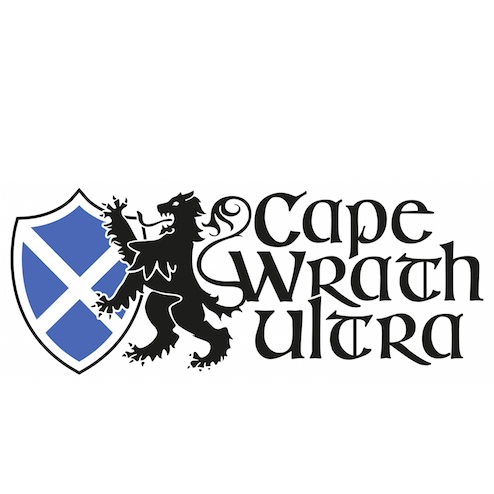 Alex Nicholls gets a nod in the inov-8 line up but we have other quality overseas competition coming from Cameron Clayton (USA), AJ Calitz (South Africa) and we should have had Vlad Ixel arriving from the Southern Hemisphere, however, recent injury has put a stop to that. A real shame, Vlad is my hot-tip as one of the new ‘surprises’ in the trail and ultra world. No worries, we will get to see him perform in June at the World Champs. 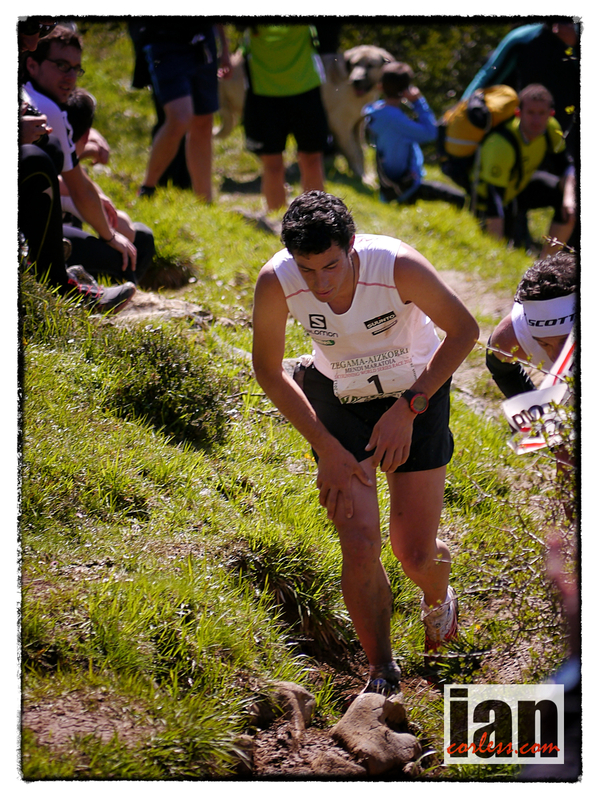 AJ Calitz pushed at the front end of the 2013 Zegama and then it all went pear shaped when he tried to follow Kilian on one of the descents, he hit the deck and his race was over… AJ swore he would be back and he is! I still think he is in for a learning curve experience but I do expect to see him in the mix. Cameron has all the speed needed to race at the front but this race is like no other. It’s fast, furious, relentless and technical. The question for Cameron will be can he use all that natural ability and perform on what for him, will be very technical terrain? 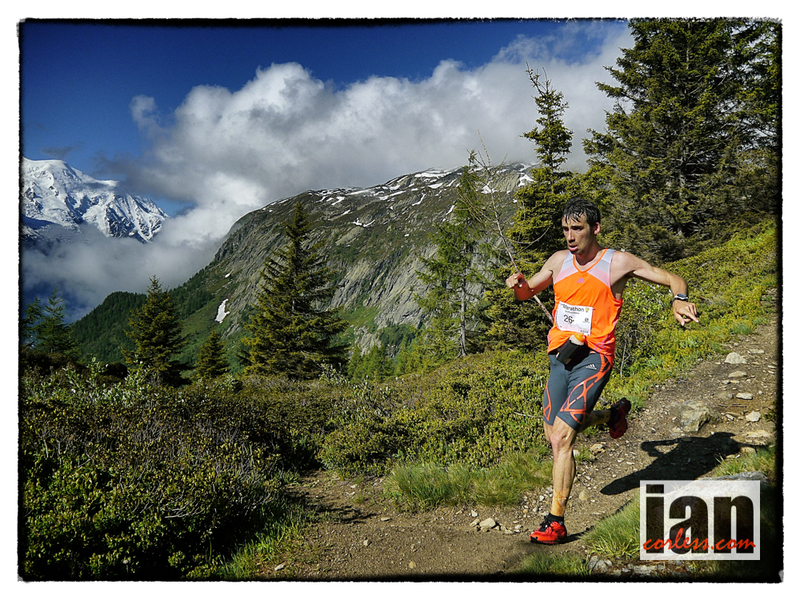 Martin Gaffuri raced really well in 2013 earning some very cool Skyrunning stripes. He started 2014 with a warm up in Costa Rica laying a great foundation and at Transvulcania he raced the half-marathon so as not to use up too much energy and gain a confidence boost. However, the race didn’t go well… just a bad day I am sure. However, it may play on Martin’s mind? Martin has the right skill set, speed and downhill ability to do well at Zegama so we will just have to see what happens. 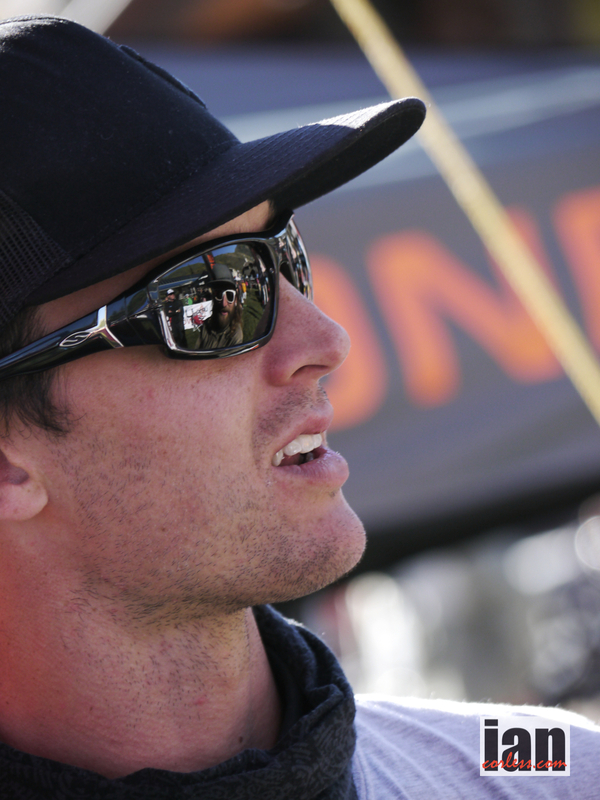 Greg Vollet – Team Manager for Salomon. Don’t be surprised to see Greg beat some of his own athletes and he may well make top-10. 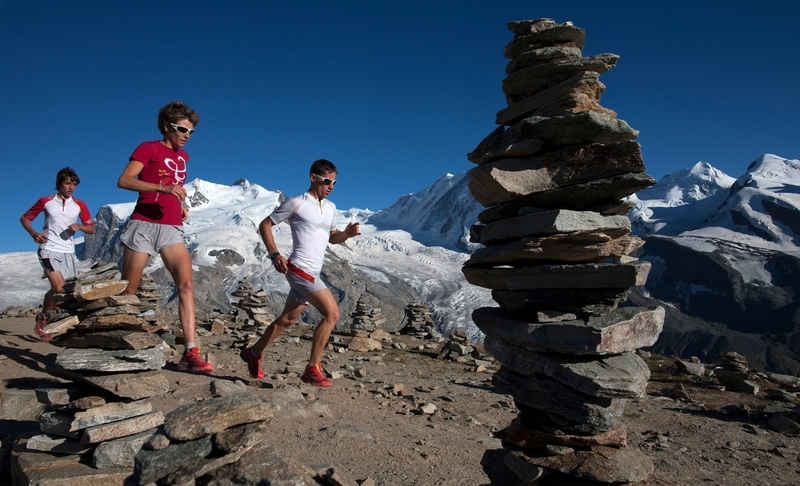 Florian Reichert still new to Skyrunning and on a learning curve but may make the mix? Who have I missed? In a field this stacked, it’s impossible to account for everyone, particularly local runners who I may not know too well but who will excel on local terrain. Rewind to Transvulcania and I think we may well see some similar performances with the exception of Frosty who will not be racing at Zegama. 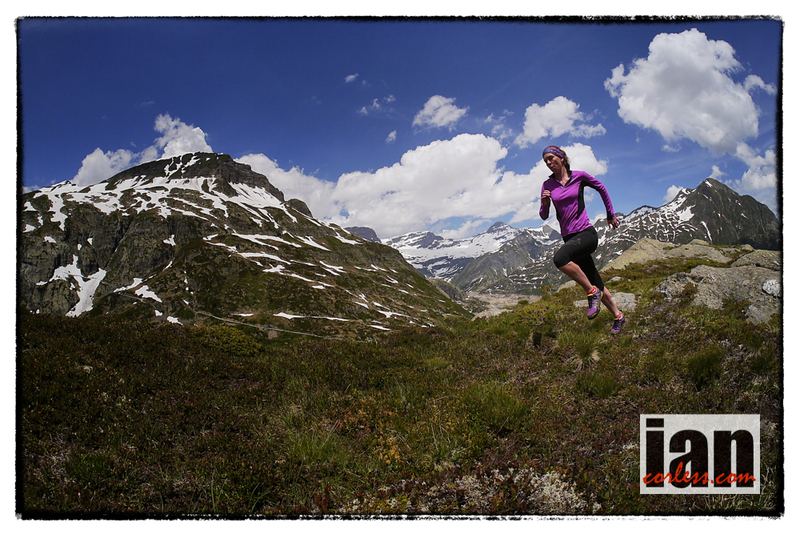 What we have, is a who’s who of female mountain running and it’s wide open. Nuria Picas is on fire! As I write this, she has just won TNF100 in Australia setting a new course record. Add to this win, two incredible 2013 wins, one at the 105-mile UTMF and the other at Transgrancanaria and Nuria is the female to beat at any distance and on any course. However, she pulled out of Transvulcania (correctly in my opinion) and although Nuria is on the start list for Zegama, I expect a similar withdrawal this coming week? However, should she race, she will be pushing at the front, of this I have no doubt. The question mark will come on how fresh she will be for a short, fast mountain race after racing 100km’s or more in the early part of 2013. 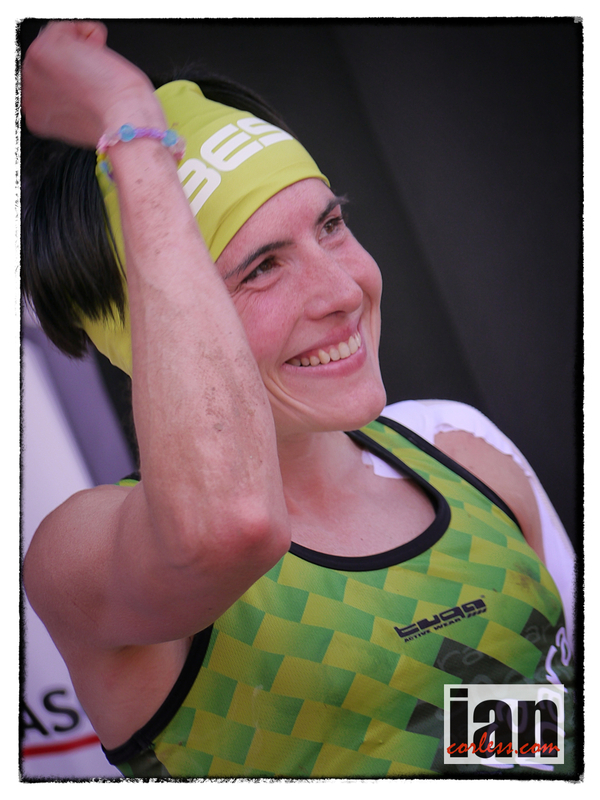 Nuria placed 2nd in 2013 behind Emelie Forsberg and finished just seconds ahead of Stevie Kremer. It’s an exciting prospect. Update 21/05/14 : Nuria will not race stating that recovery is paramount after her win in Australia. Emelie Forsberg is just off skis and other than running half of the Transvulcania VK and a couple of hours in the Transvulcania main event, has little running in her legs. Add to this a bad fall in La Palma, stitches and some recovery time and Emelie may well be going to Zegama the most underprepared ever. She was relatively underprepared in 2012 when she arrived an unknown, however, look what has happened since… She has said to me that Zegama is no longer an ‘A’ race and she will use it to find form, however, Emelie on an off day is still a formidable force and I still see her in the mix. 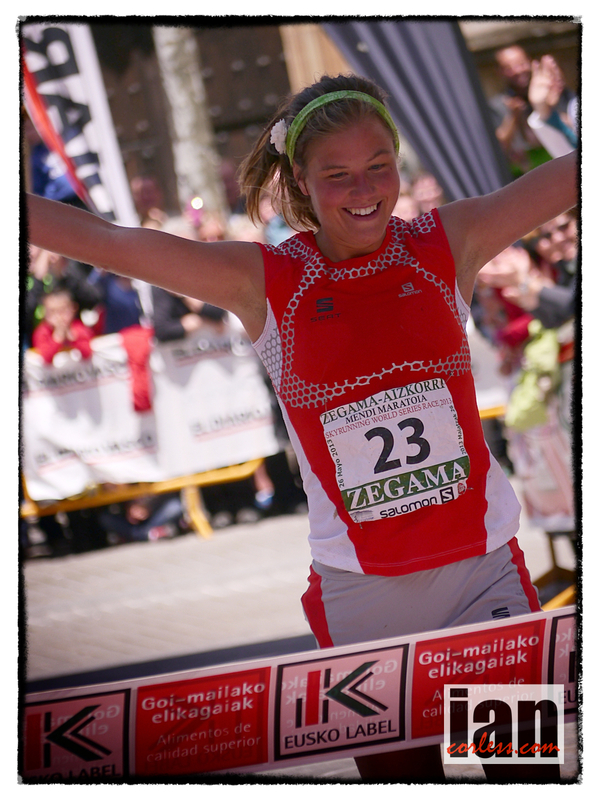 Emelie won Zegama in 2013 and pretty much everything else in her long and demanding season. When knocked off the top slot, particularly in mountain running, it was by Stevie Kremer! Firstly at Mont-Blanc and then at Limone, so, Emelie will be taking Zegama with one eye on the trail and the other on Stevie. Stevie Kremer is also just off skis but unlike others, Stevie does maintain some running during the winter months. It may not be a great deal of hours or mileage but that connection with trail certainly puts her in a good place for the first race of the season. She showed this last year at Zegama when she flew down the final descent (she says she can’t descend) and nearly caught Nuria for 2nd place. Notorious for being nervous on the start, Stevie turns that energy into exciting running. She can climb with the best and although she thinks that she can’t contest the downhills, she can! Stevie just needs to believe it. My tip for the race victory! 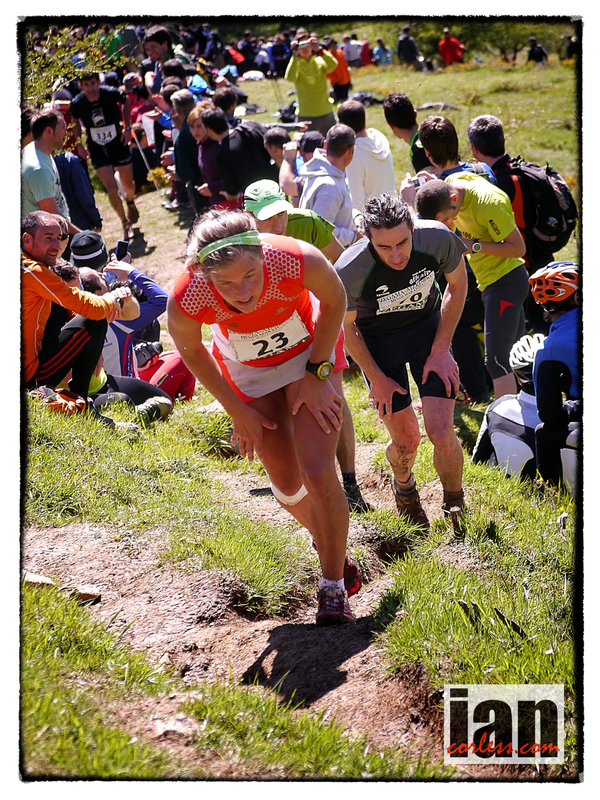 Maite Maiora is a class act when it comes to mountain running. 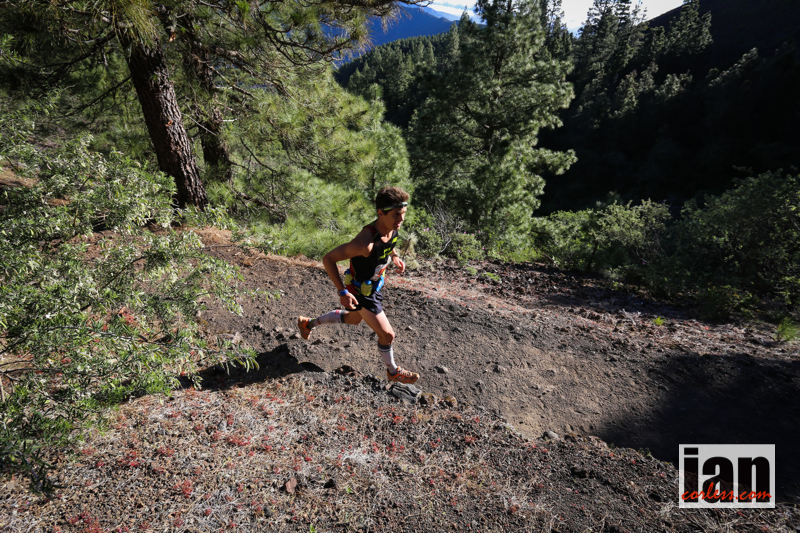 Her recent 2nd place at Transvulcania shows a new side to this slight but extremely strong runner. 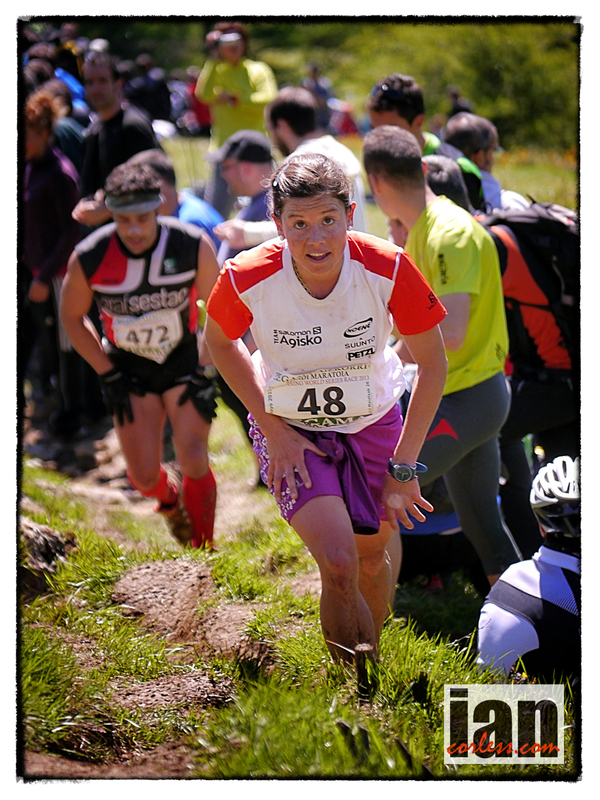 With added endurance, boosted confidence and great technical ability, Maite will be in the mix at Zegama and testing the other ladies to the limits. I see her on the podium; the question will be at which level? To be honest, if her recovery has gone well post La Palma, I see her going head-to-head with Stevie. 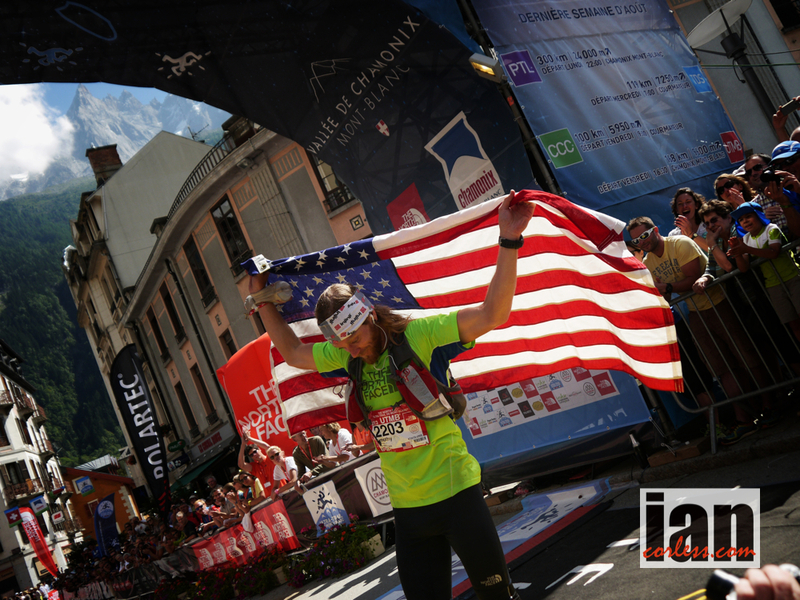 Elisa Desco returned to racing in 2013 and won the highly prestigious Sierre-Zinal. 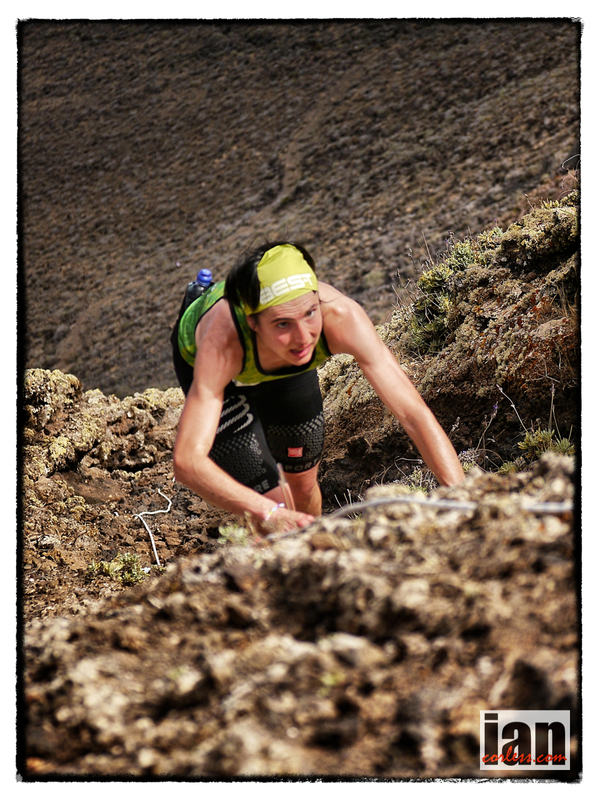 Her recent win at the Transvulcania VK and half marathon confirms that her form is good. 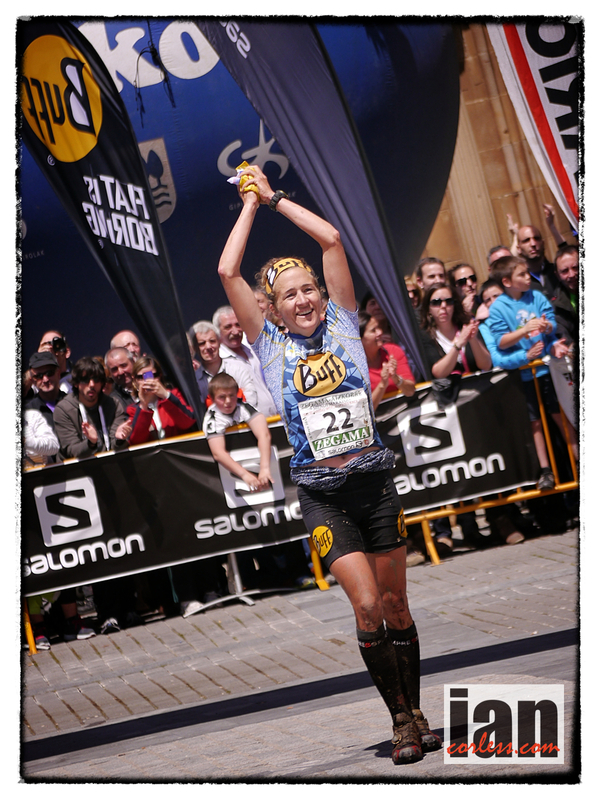 Elisa has all the right elements to perform well at Zegama and without doubt she is podium material. The ladies field is so strong, it may well just come down to who makes the least mistakes? Elisa won’t make many! 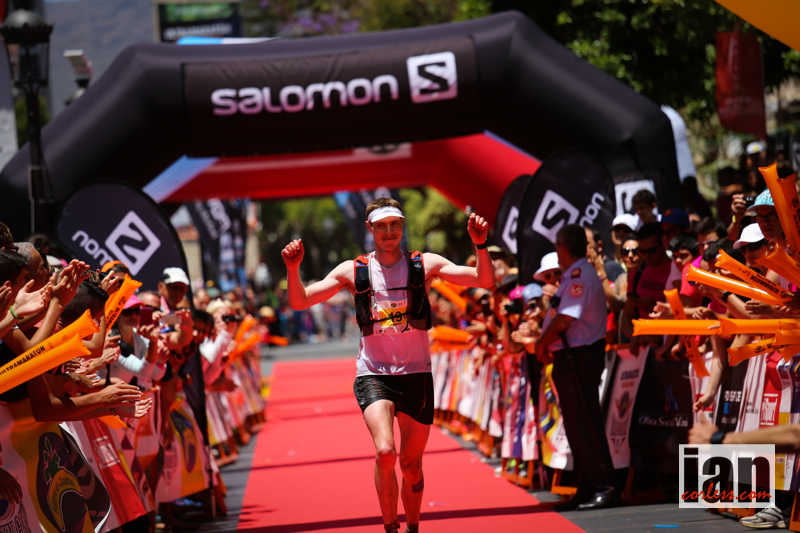 Uxue Fraile once again produced an incredible race in Transvulcania. I said in that preview that she lacks the outright speed of some of her rivals, however, what she does have is staying power and true grit. So, should any lady falter, Uxue will be in the mix to take places. 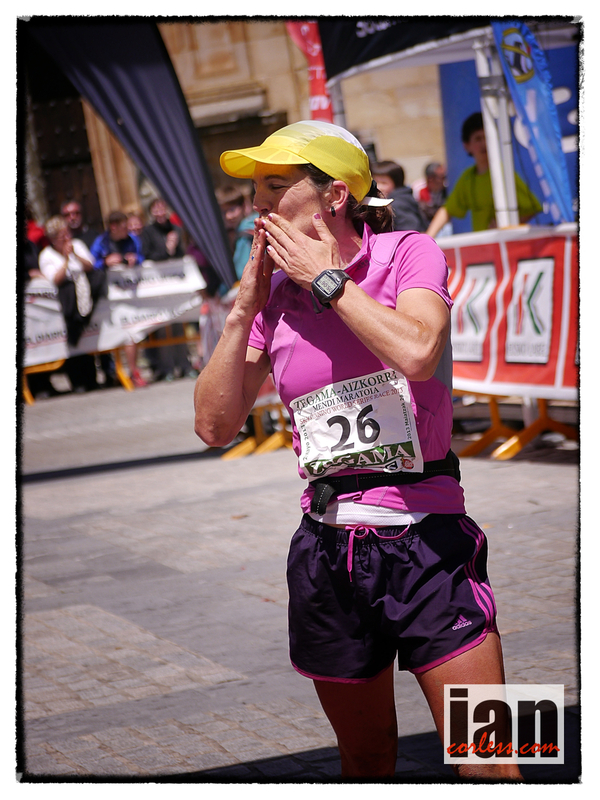 I see this happening again at Zegama. She will definitely be in the top-10, probably in the top-5 and may just sneak the podium. Kasie Enman is coming over from the USA and will add an interesting dynamic o the race. She’s a fast lady and as Stevie says, she is without doubt one to watch. The trails and technicality of Zegama may not allow Kasie to unleash her natural speed, however, I don’t see her being off the pace. The biggest question will come in her form, as this is a return to racing after having a child. The ladies race has less depth than the men’s field, however, you can expect to see the ladies listed below in or around the top-10. 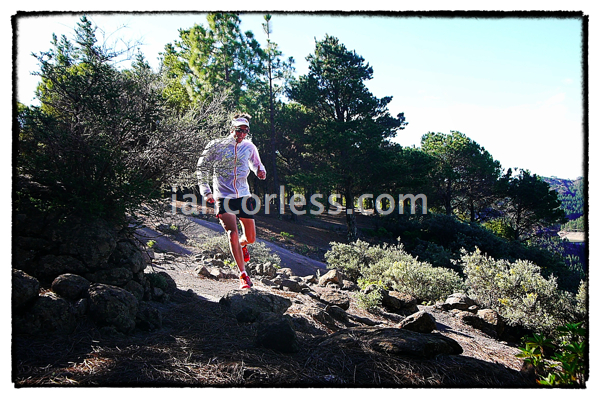 Stephanie Jiminez strong run at Transvulcania VK and just coming into form. Will not race, Stephanie says she is not ready for 42k yet. 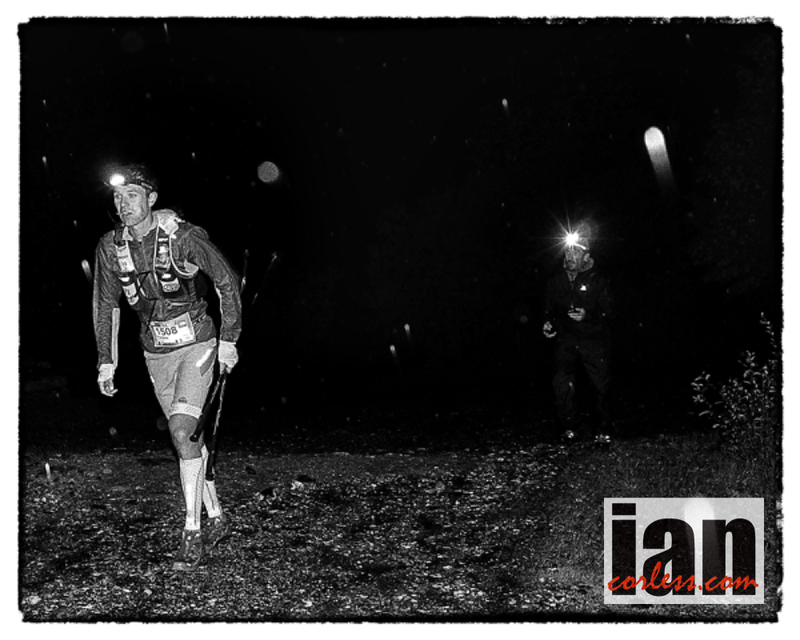 Landie Greyling strong South African runner, 5th at Kepler Challenge and 2nd at Addo Elephant. Who have I missed? It’s impossible to account for everyone, particularly local runners who I may not know too well but who will excel on local terrain. Extreme by name, extreme by nature, the names of Red Bull and Kilian Jornet are almost a match made in heaven, equally renowned for pursuing the extreme. Red Bull pursue the extreme in everything that they do… skateboarding with Ryan Scheckler, Ryan Doyle with Parkour, Travis Rice on a snowboard and so on, irrespective of the athlete or the sport, Red Bull push the boundaries. 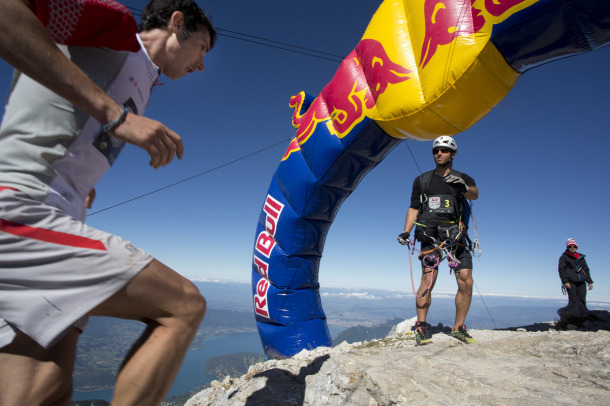 It seems appropriate that the third edition of the Red Bull Elements, located at Talloires on the shores of Lake Annecy should once again have the presence of Salomon sponsored athlete, Kilian Jornet. 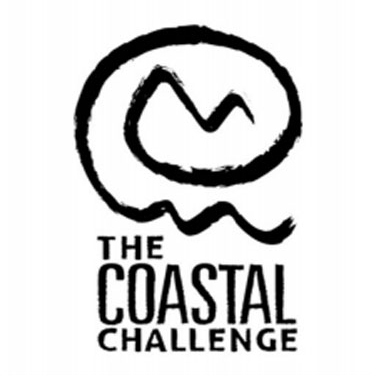 Rowers, runners, paragliders and mountain bikers join forces to compete in the same outdoor world! 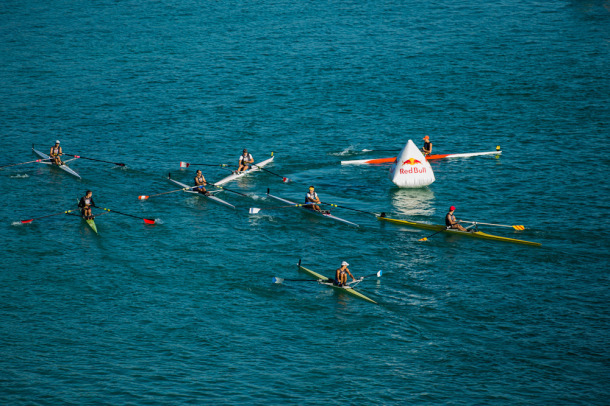 The race is a pure concentration of endurance sports. Uniting all those involved. It creates a dramatic and extreme event. On Saturday, September 14th, 216 athletes grouped together in 56 teams will start an adventure with rowers covering 14km in Talloires bay. Handing over to the trail runners, Kilian Jornet and his adversaries (such as Salomon teammate, Michel Lanne) will then climb eleven kilometers covering a vertical gain of 1914m with only 25m of negative gain! At the summit, paragliders take over and they descend to a rendezvous with the final discipline; mountain biking. A final breakneck descent to Talloires village culminates the event. 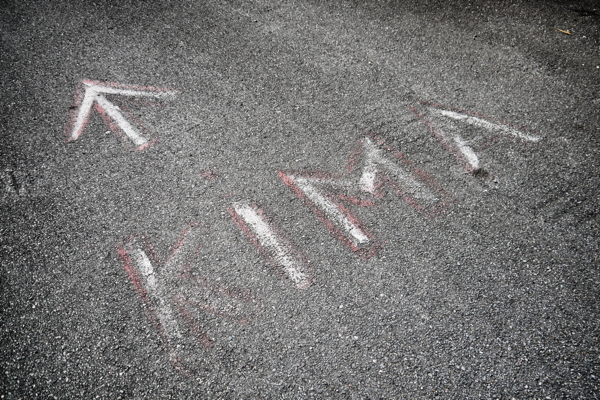 Of course, this event is not about Kilian Jornet. On the contrary, he is very much just one cog in a very important four-person team. However, my emphasis and sport is running and in particular mountain and trail running, so, the question remains; can Kilian improve on his extraordinary performance from 2012? 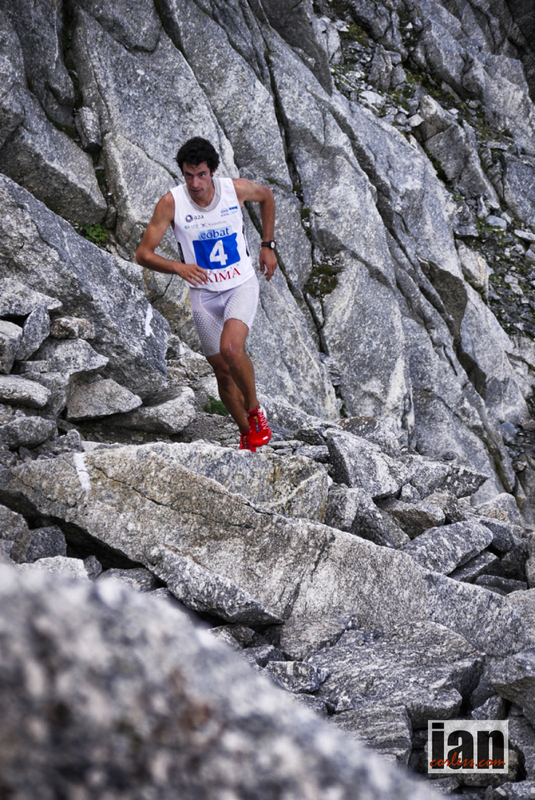 Last year, Kilian Jornet completed the 11 km of ascent in less than 1h: 20m. For sure, Michel Lanne will push him all the way to the summit. 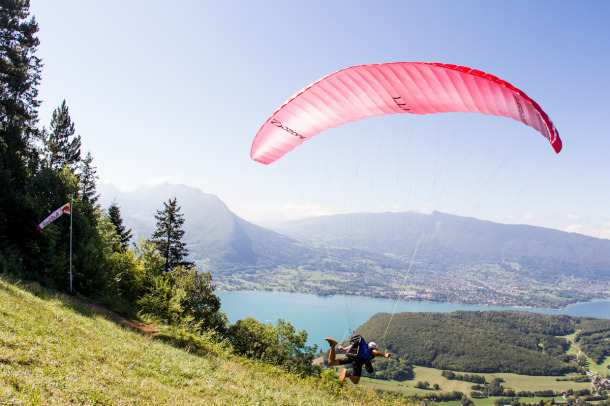 I just wish I was in Annecy to watch the action unfold… it really looks quite an incredible event! image copyright Matterhorn Ultraks – www. On the Italian border of the Canton of Valais in the west of Switzerland, at the end of the 30 km-long Nikolaital, lies Zermatt, the village at the foot of the Matterhorn, the most photographed mountain in the world. Zermatt epitomizes their image of Switzerland; high alpine, awe-inspiring and original. Almost one-third of the 4,000-metre mountains in the Alps are grouped around this word-famous health resort, which has been visited by mountaineers from all around the world since the first successful ascent of the Matterhorn in 1865. The hotels and restaurants are world-class, and the ski area is not only the highest in the Alps – it is also one of the best developed and most convenient in the world. The climate is of an excellent quality; with 300 sunny days a year, there is less rainfall than anywhere else in Switzerland. The air in Zermatt is clear, dry and clean, because, since 1947, only electric cars without a combustion engine are allowed to operate in the village. Things are a little different in Zermatt. Zermatt – A world of its own. 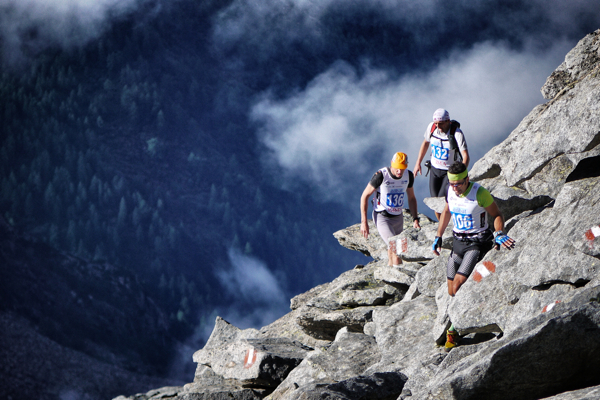 The ISF Skyrunning Matterhorn Ultraks is the penultimate race in the SkyUltra series. It will be a magical race, 46 km long with D+ : 3’600 m | D- : 3’600 m. It has a great combination of wild open spaces, high mountains and a course that will require a thrilling combination of speed and technique. The highest summit of Gonnergrat at 3100m will be a test for all, however, at the summit it offers incredible panoramic views and of course, the ever-present Matterhorn will dominate. Kilian Jornet comes to this race the outright favorite. 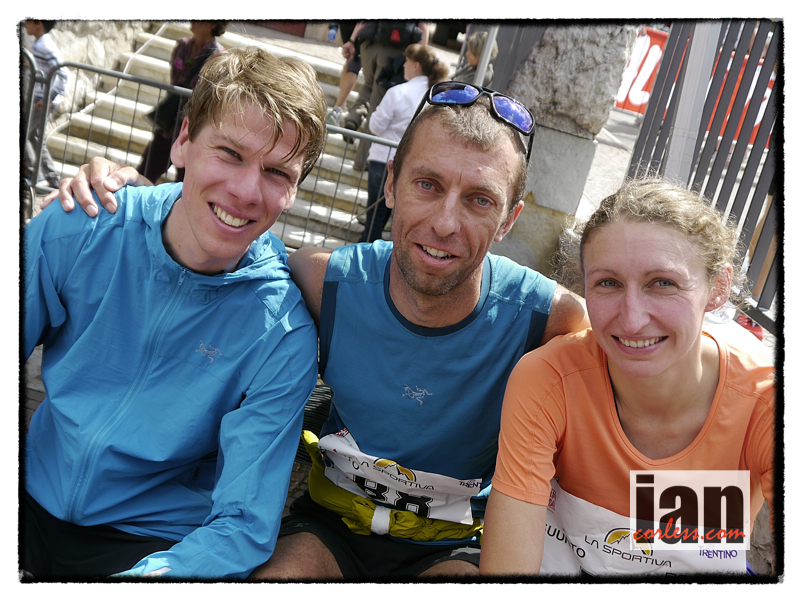 At the ISF Skyrunning European Championships he came away with three gold’s in VK, Sky and Ultra. Post Trans D’Havet he moved over to Cervinia (Italy) and he is now preparing meticulously for his next ‘Summit’, a speed attempt up and down the Matterhorn itself. 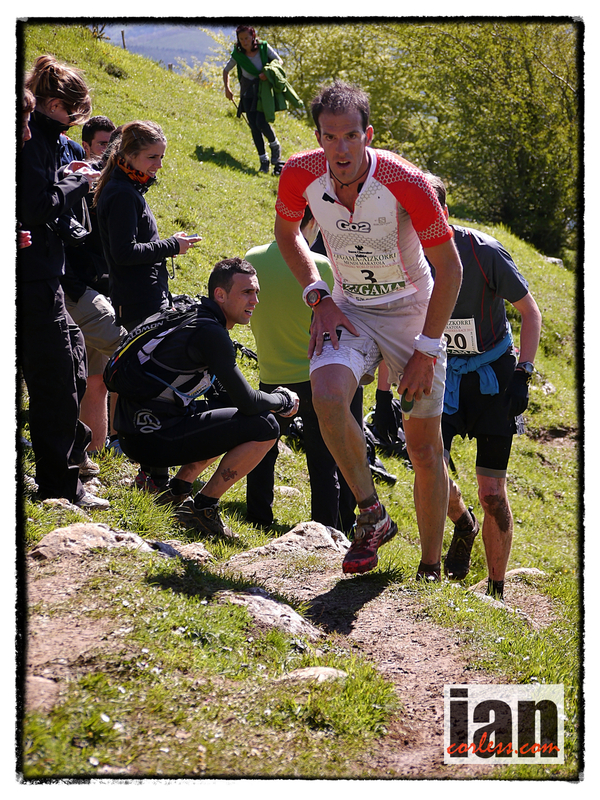 He will be prepared and adapted for everything that the Ultraks can throw at him. Breaking news just in, 14th August. 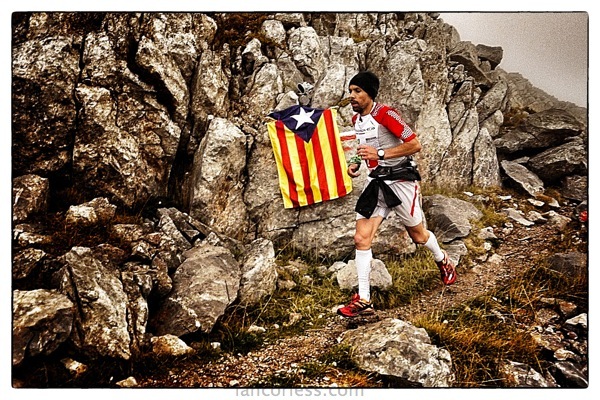 Luis Alberto Hernando to join the line up at Ultraks. Of course this is great news. 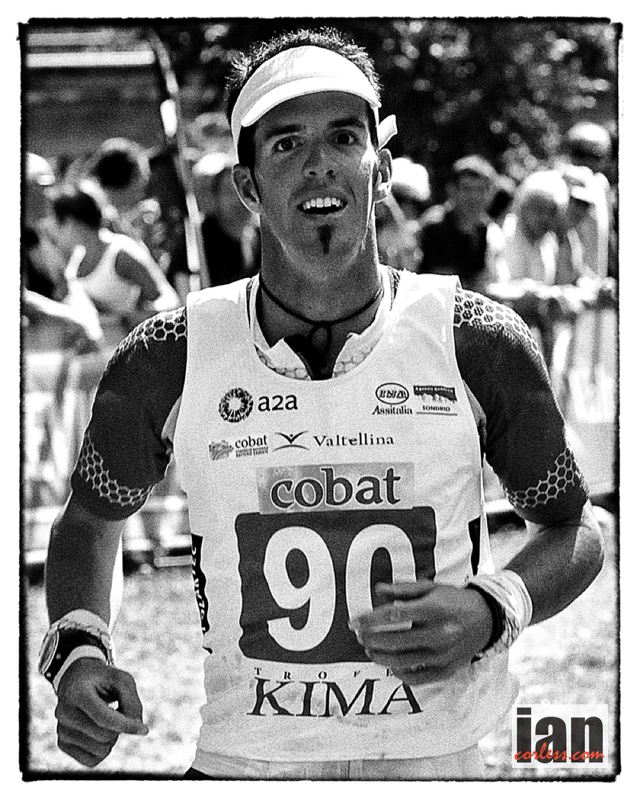 Luis is one person that has pushed Kilian Jornet throughout 2012. 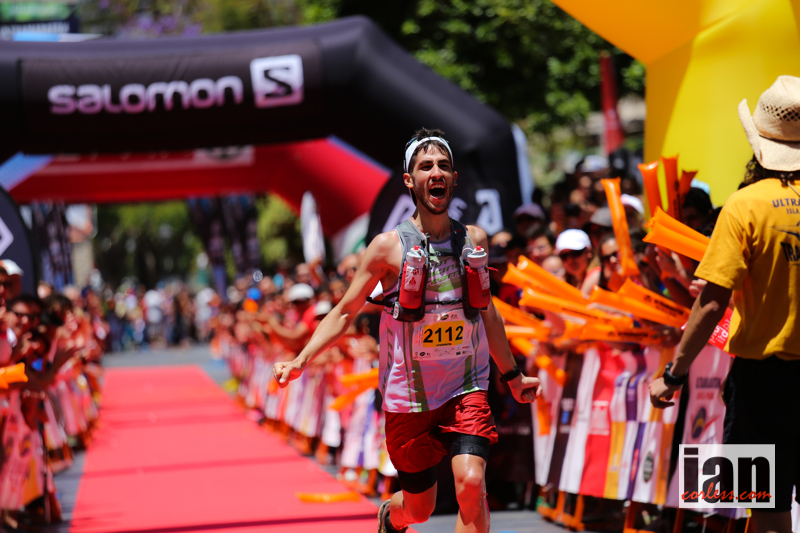 He placed second at Transvulcania, he pushed Kilian to the line at Zegama, placed third at Mont Blanc and of course, Kilian and Luis crossed the line together to be crowned European Skyrunning Champions at Trans D’Havet. 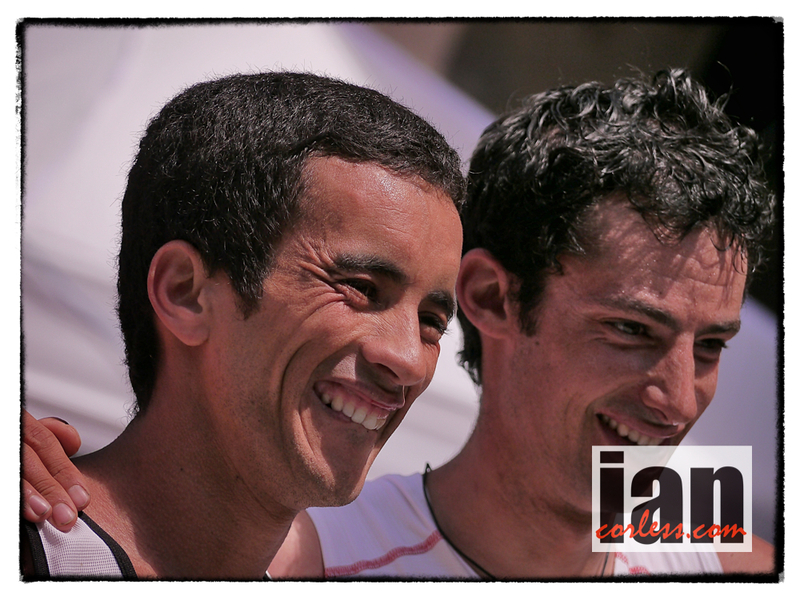 One thing is for sure, Luis will push Kilian and all the other contenders for the top spot right to the line! 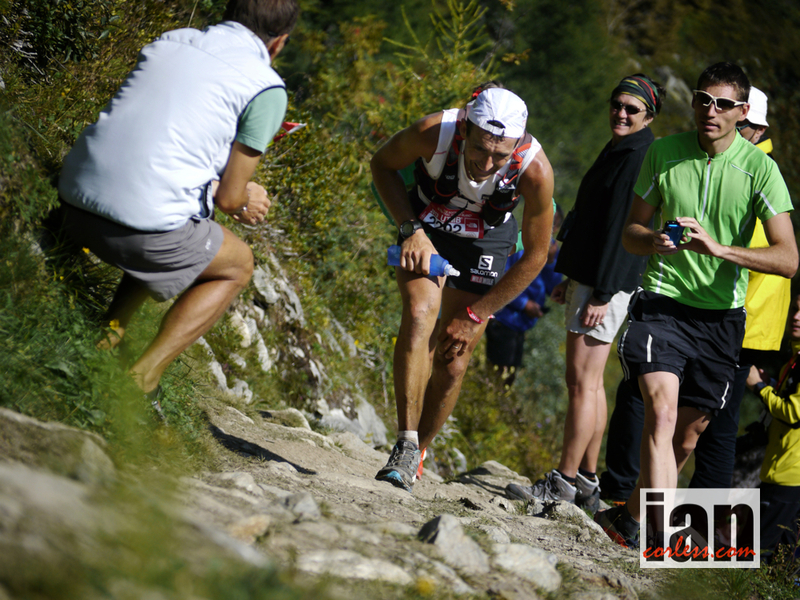 Tofol Castanyer has had a troubled early 2013 with a series of injuries, however, a win at Salomon Four Trails and a second place at the recent Giir di Mont means he is coming back in form. If he has a good day, he will certainly be up at the front pushing with Kilian. Philipp Reiter romped to a great podium place at Ice Trail Tarentaise and was ready to repeat his performance or move up the podium at Trans D’Havet, however, a bad fall in the first 30% of the race unfortunately meant some time in hospital and recuperation. 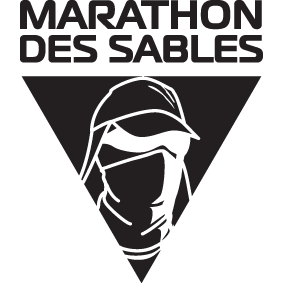 At this stage his recovery is progressing well and we hope that he will toe the line in Zermatt. Cameron Clayton has had a very impressive rise in the ultra world. He is young and races just one-way; hard! He applied that principal at Transvulcania La Palma and lead the race in the early stages but later faded to still secure a top placing. 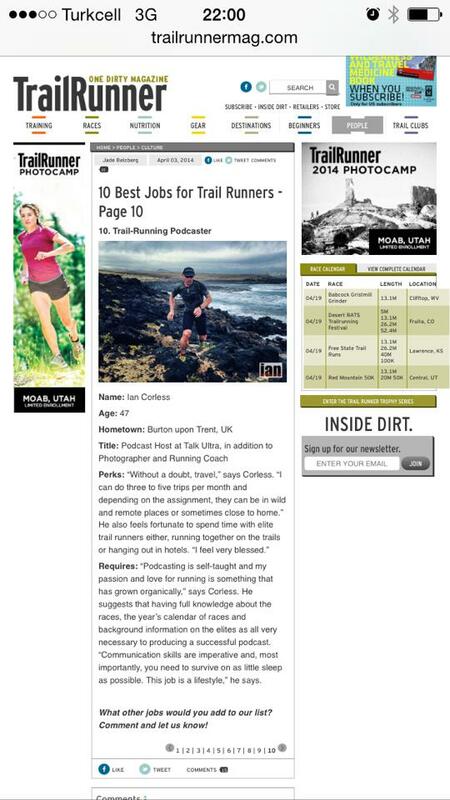 At Western States, his first hundred miler, he applied the same principal but came unstuck. Just the other weekend he raced at Speedgoat 50k but I am sure this was very much ‘getting back into racing’ race post Western. 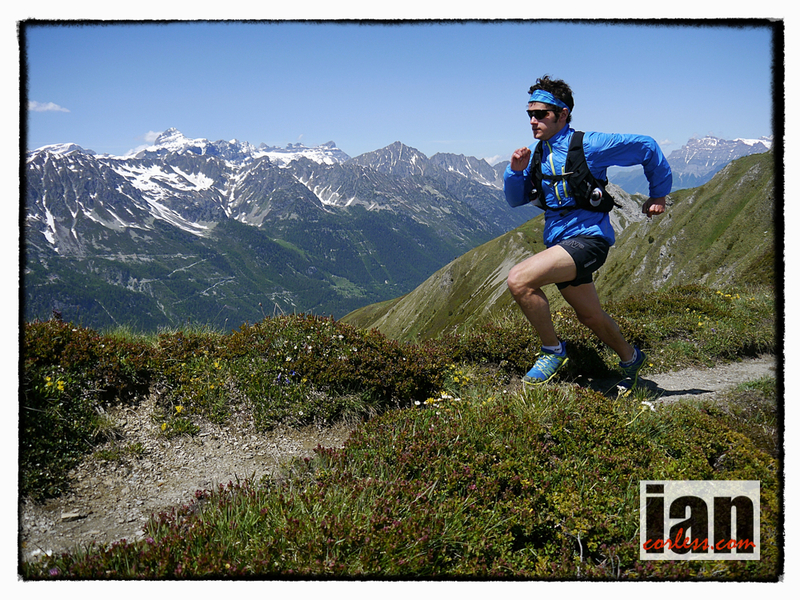 If he is making a trip from the US to Zermatt, you can be sure of one thing; he will turn up to run hard and win. Question is, will he be able to? Most certainly he has all the ability to mix it up at the front and push his peers. Cameron is an exciting addition to the race line up. Nicola Golinelli had a great race at Mont Blanc Marathon and then placed in the top fifteen at Dolomites Skyrace. It wasn’t a great race for him; he certainly would have expected to be at the front end of the race. So, with that in mind, Nicola will be looking to put the record straight at Ultraks. Florian Reichert and Didier Zago, both had similar stories to Arc’teryx teammate, Nicola Golinelli. 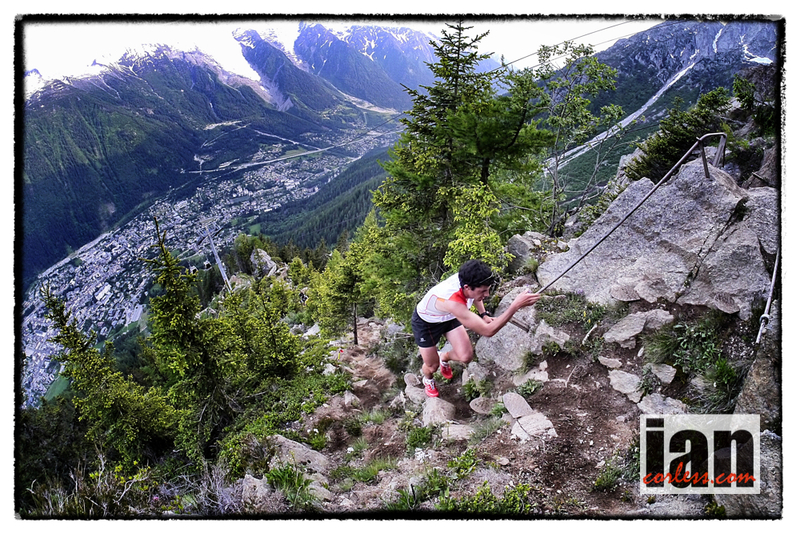 Great racing and top ten placing’s at Mont Blanc and then below par performances in Canazei at the Dolomites Skyrace. Didier is experienced and will bounce back, Florian however is new to Skyrunning and once again found the Dolomites and its combination of steep gradients and snow another learning curve. 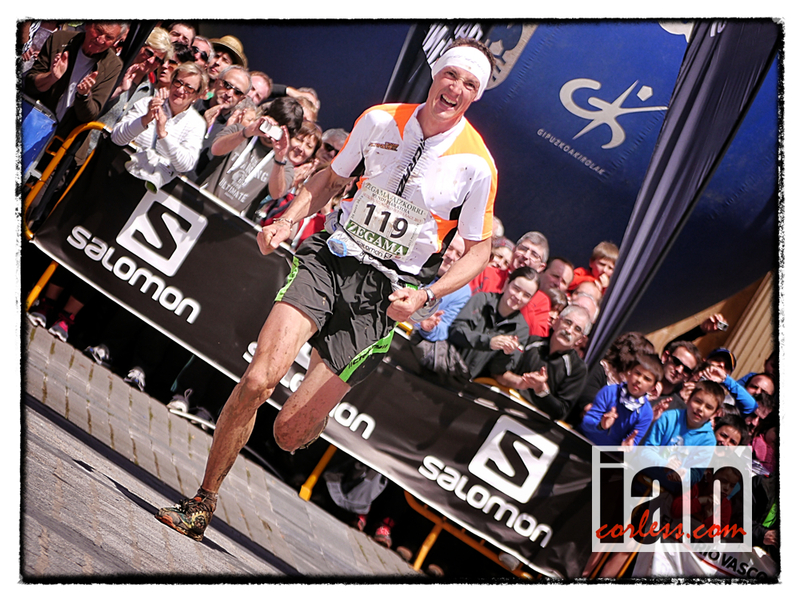 However, he is a sub 2:30 marathon runner and the Ultraks course will suit his abilities. Ben Abdelnoor is coming to Zermatt after an impressive win and new course record at the Lakeland 50 in the UK. For sure he is going to relish the opportunity to push against some of the best in the world. 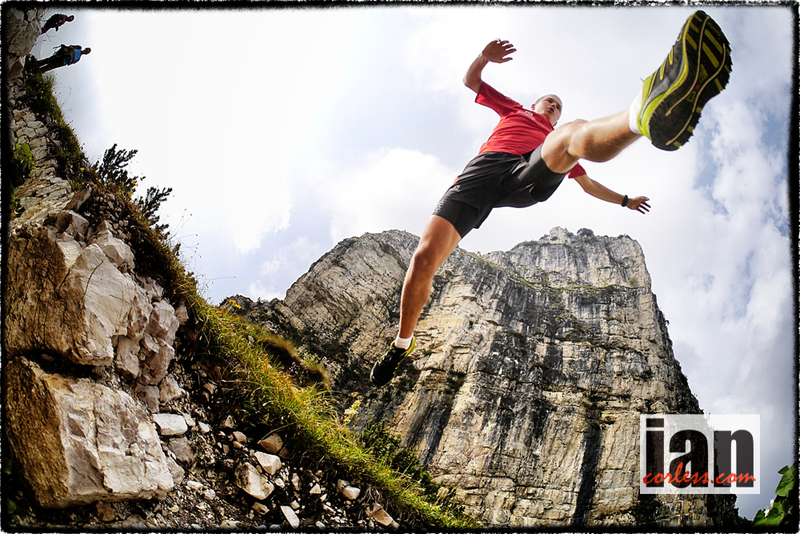 Joining Ben we have his new inov-8 teammate, Erik-Dagsson Haugsness. 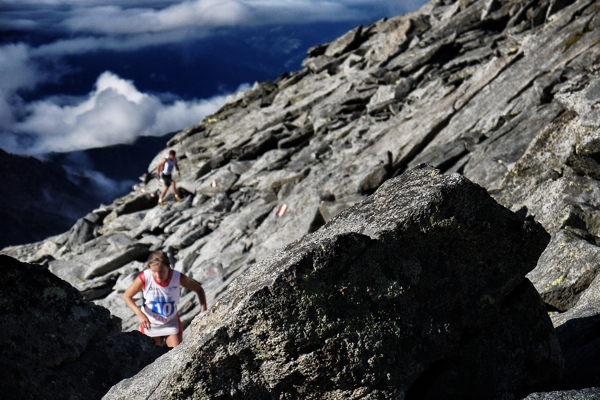 Erik from Norway placed fifth at Mont Blanc Marathon and is certainly a name to watch in the future. Tadei Pivk has consistently performed in 2013 with great results at Zegama and Dolomites Skyrace; without doubt he will be coming to Zermatt to move from third place on the podium to second or even the top. Watch this space, without doubt he will add spice to the front of the race. 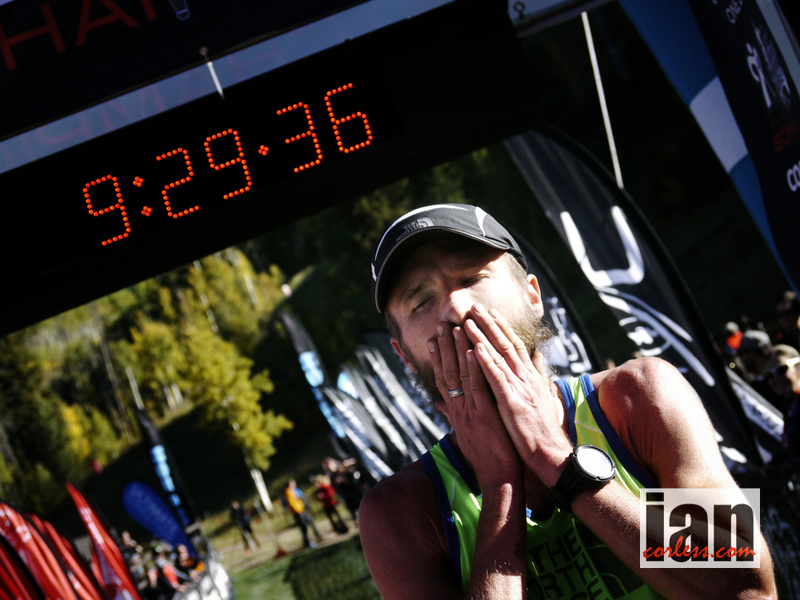 Stuart Air from the UK is starting to get a reputation for himself within the Skyrunning calendar. With little fanfare he turned up at the brutal Ronda dels Cims and placed thirteenth overall, he then followed this up with nineteenth at Ice Trail Tarentaise. 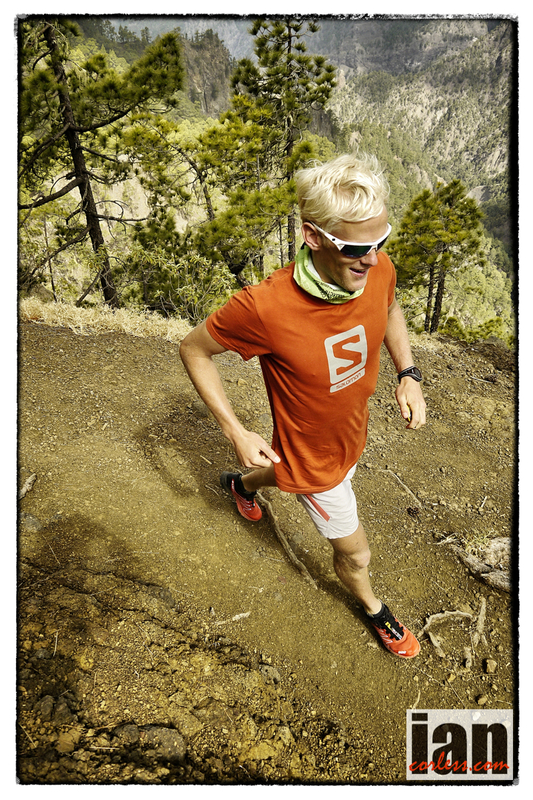 He will participate at Matterhorn Ultraks as a guest for Scott Running. At 46km, the race may very well be a little too short and too fast for him, but it will be great to see how he performs. 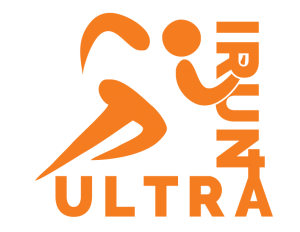 The men’s field at Ultraks has great depth, Nicolas Pianet, Dai Matsumoto and representation from Russian Skyrunning, Diedre-Matxacuca, Euskal Herriko Mendi Lasterkarien Selekzioa and the FEEC will mean that an iconic and fast race awaits us. Emelie Forsberg, how can you bet against her? Her rise in the sport is meteoric and after winning at San Francisco in late 2012, Emelie has rarely been off the top of the podium. Her 2013 result sheet is incredible and like Kilian, she is becoming a dominant leader in the sport. Her recent results and performance ability at any distance from VK to Ultra puts her way ahead of the competition at Ultraks. I honestly don’t see anyone coming close, particularly if Emelie decides to push. Silvia Serafini does offer a glimmer of hope at the front of the race and like Emelie, Silvia has also had a speedy rise in the sport. Just recently everything has started to click. A podium place at Dolomites Skyrace and while Emelie was dominating Trans D’Havet; Silvia topped the podium at Giir di Mont. For sure, Silvia will be Emelie’s biggest rival at Ultraks. Anna Lupton had a troubled performance at Zegama and then found some consistency at Mont Blanc Marathon. She has recently raced in Poland and will be coming to the Matterhorn with several weeks’ recovery and training, so, she may well perform as she would expect and add some pressure to the front of the race. Ragna Debats, Aitziber Ibarbia Beloki, Anna Comet Pascua, Paloma Lobera Grau and Eugenia Miro Figueras all have the potential to make the podium and it will be interesting to see who has the strength on the day to push the outright favorites to the line. Race start 0700 am 24th August 2013.